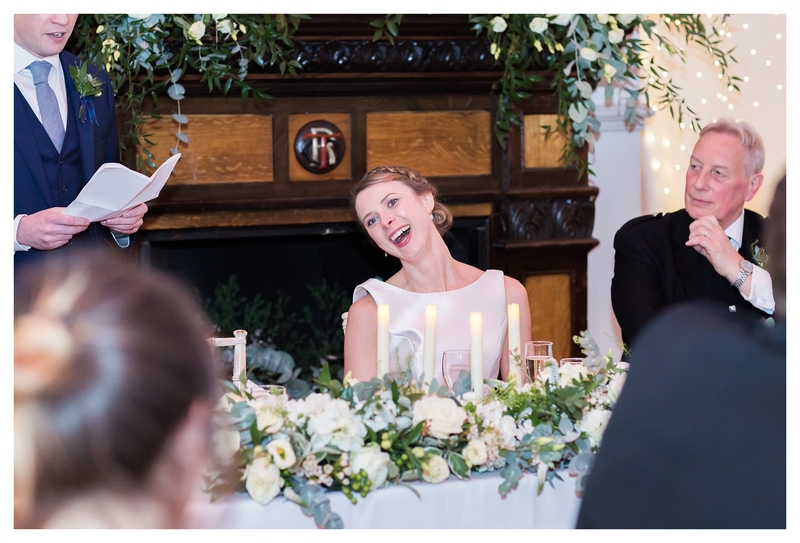 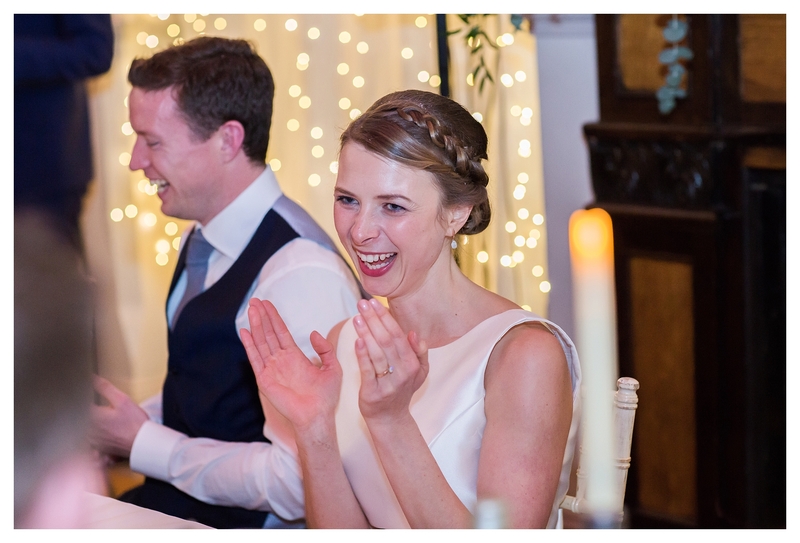 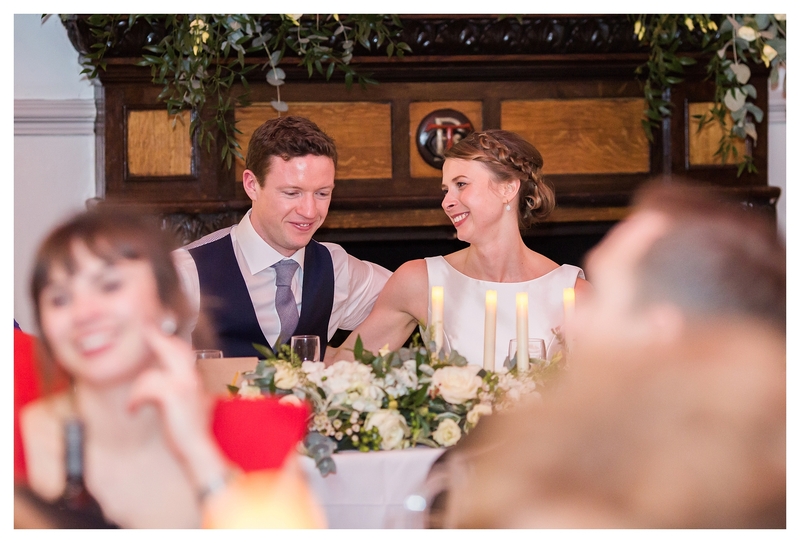 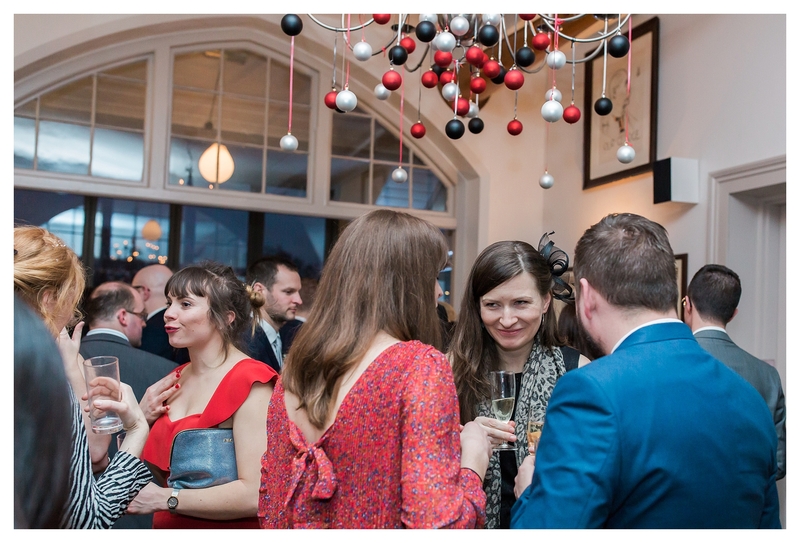 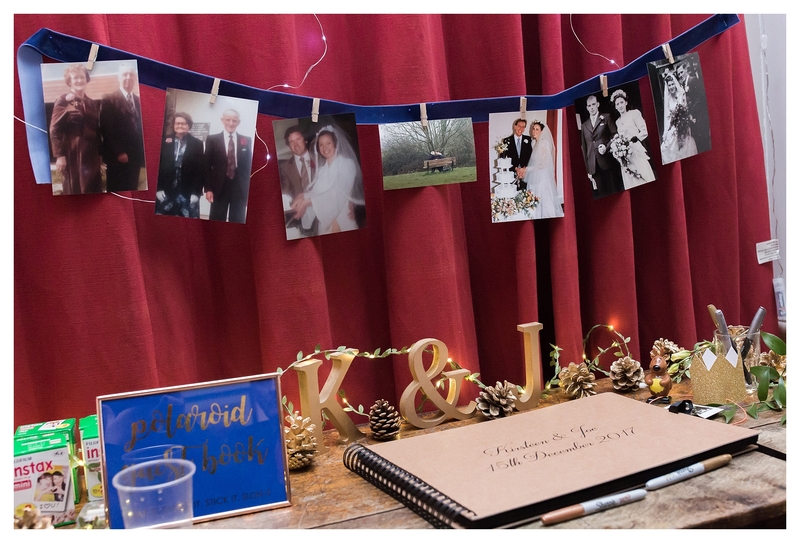 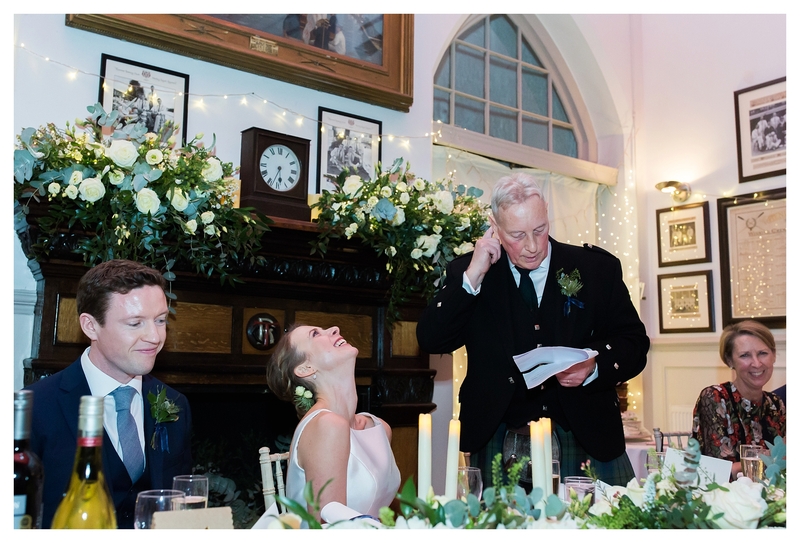 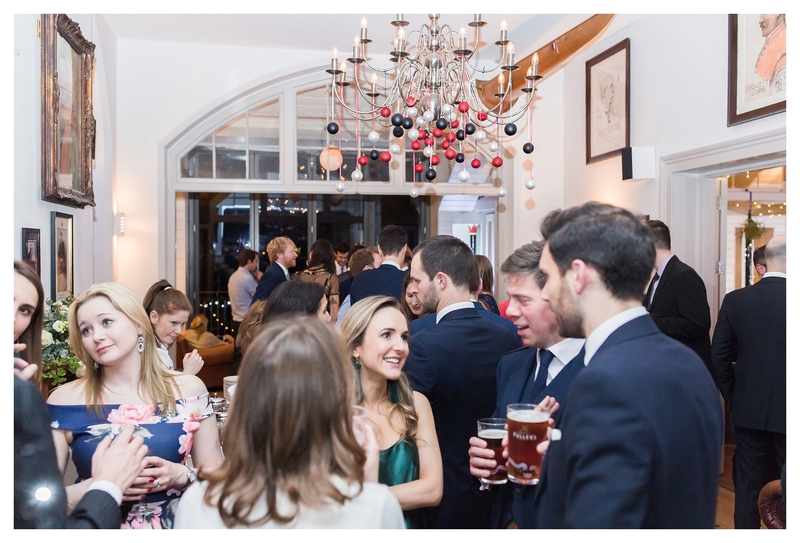 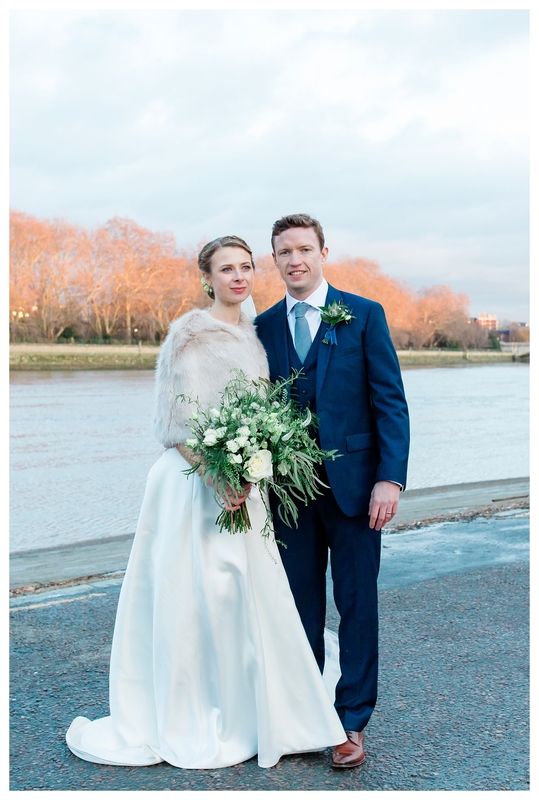 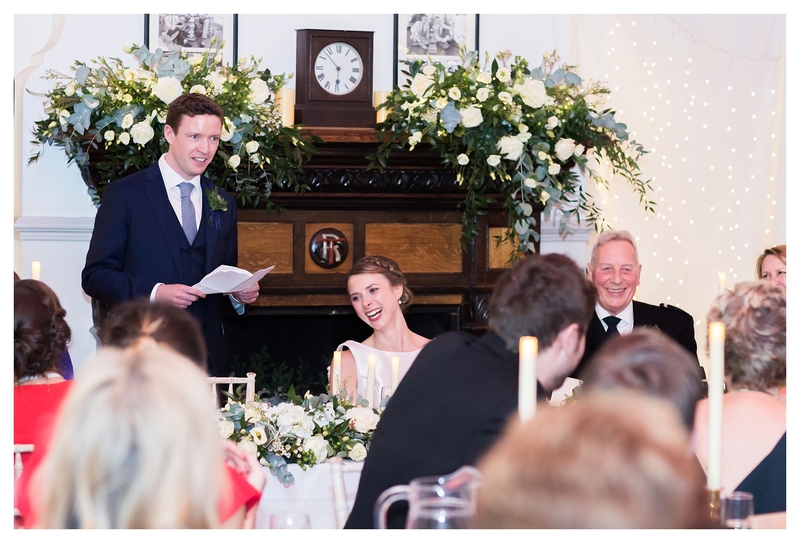 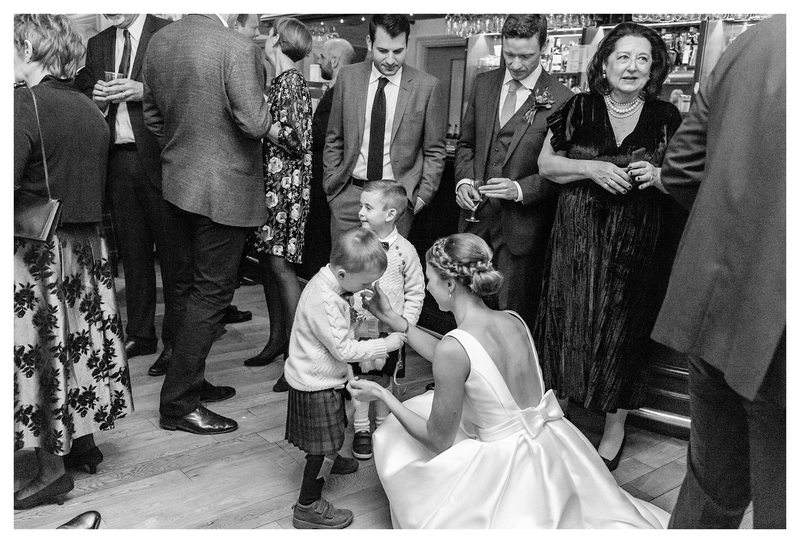 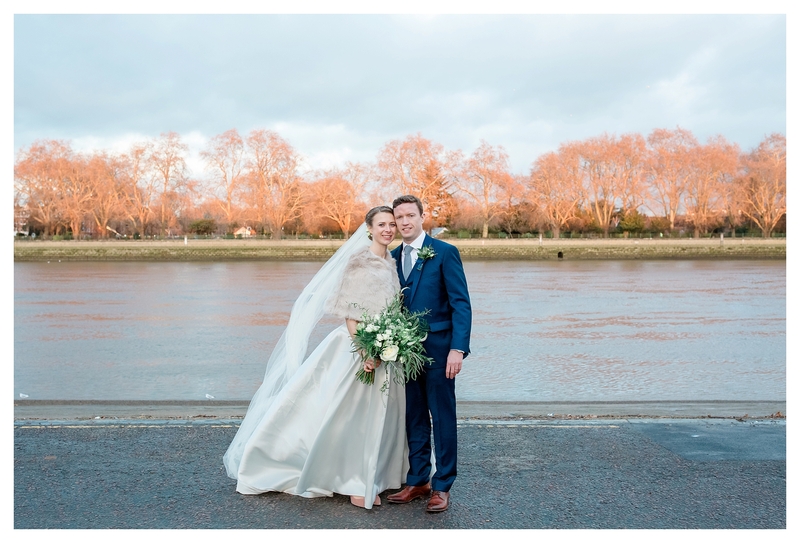 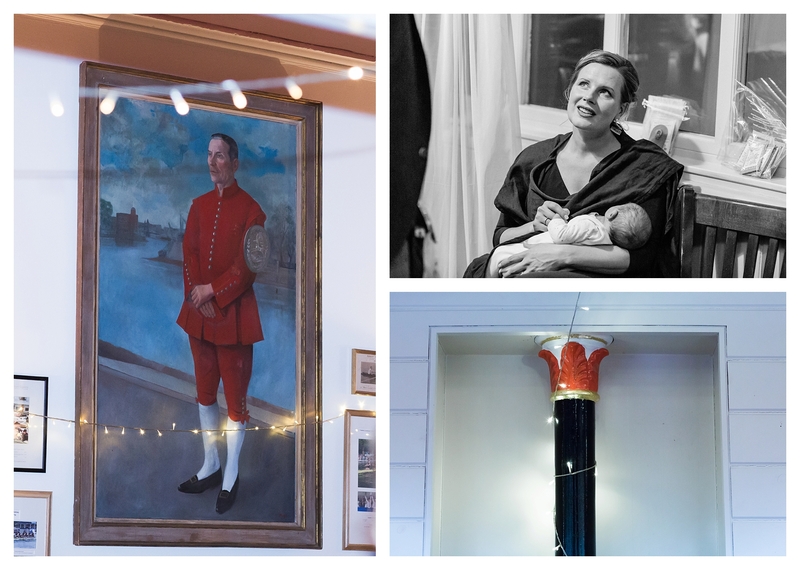 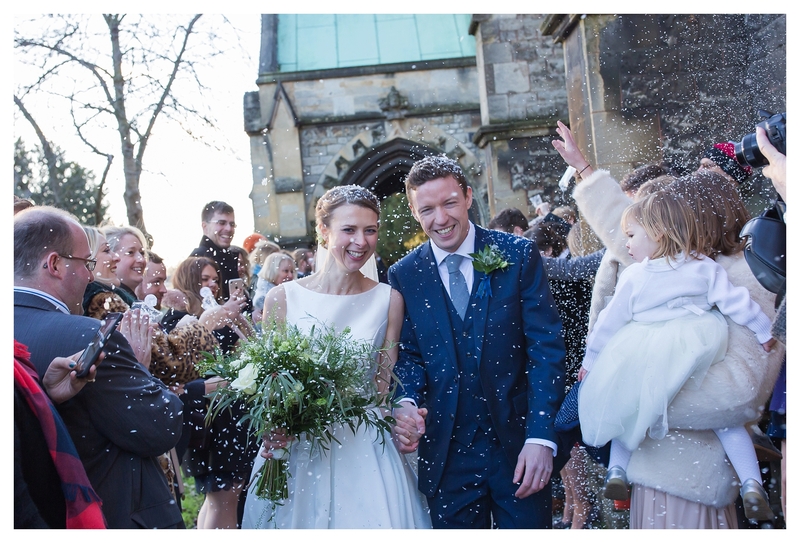 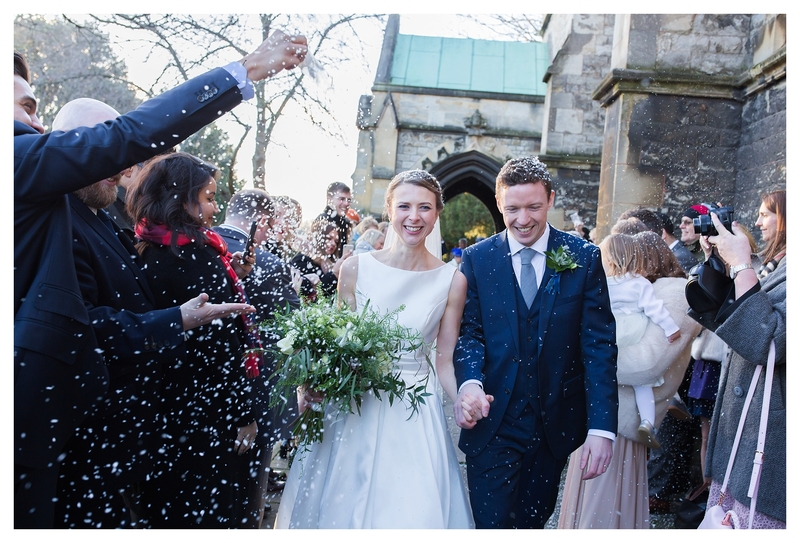 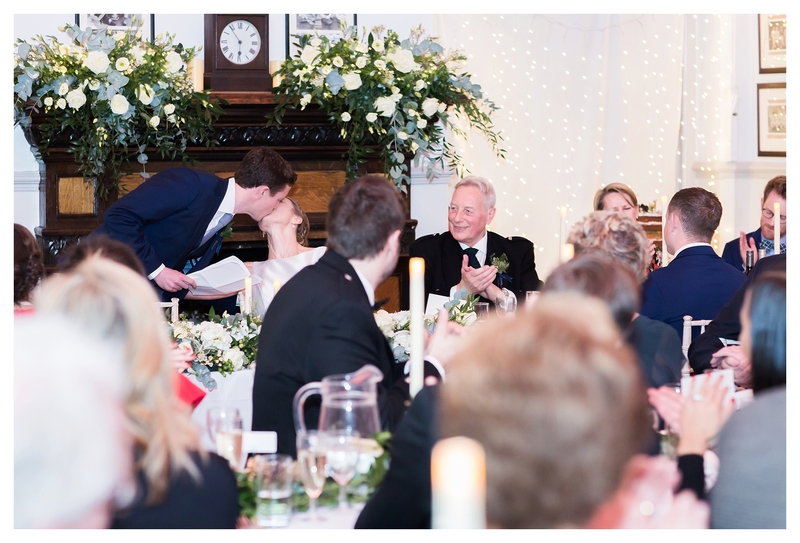 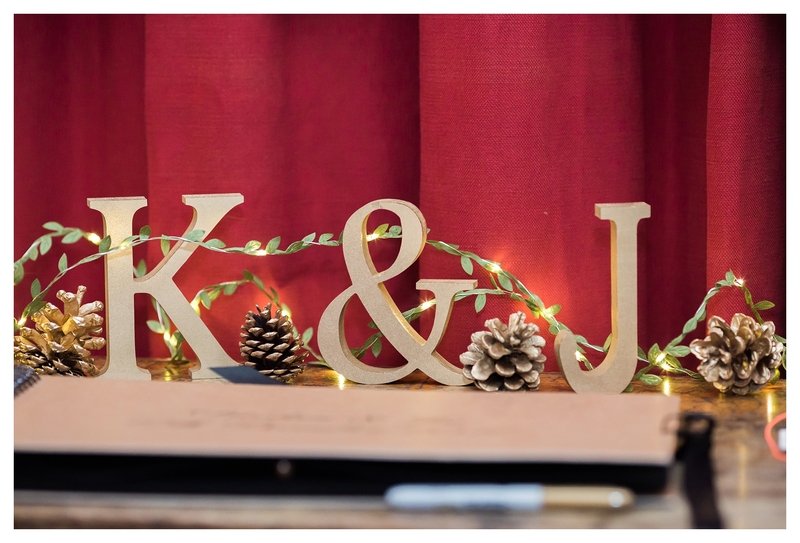 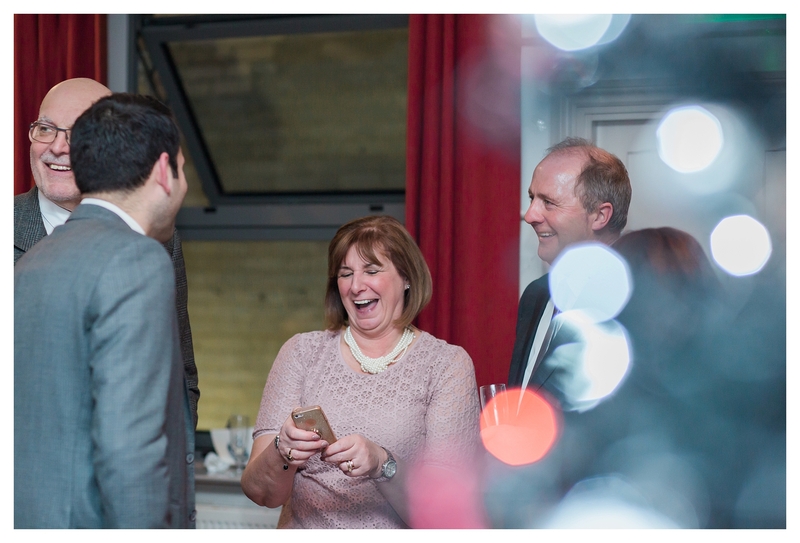 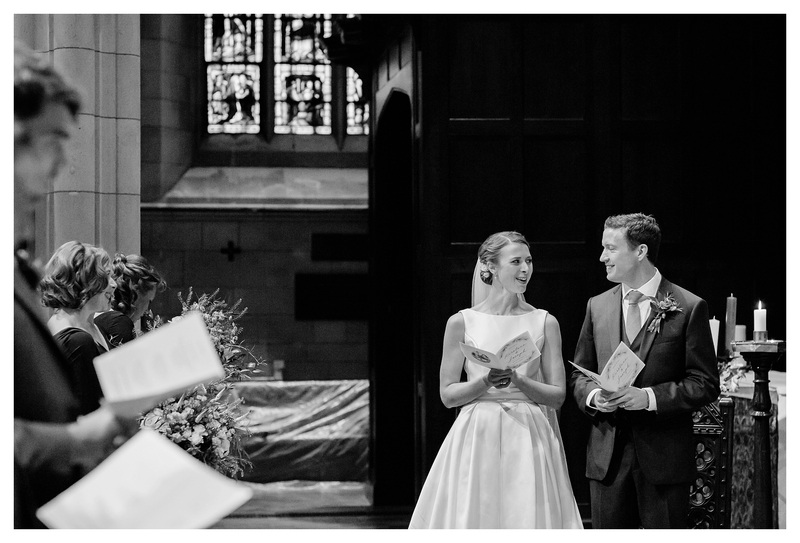 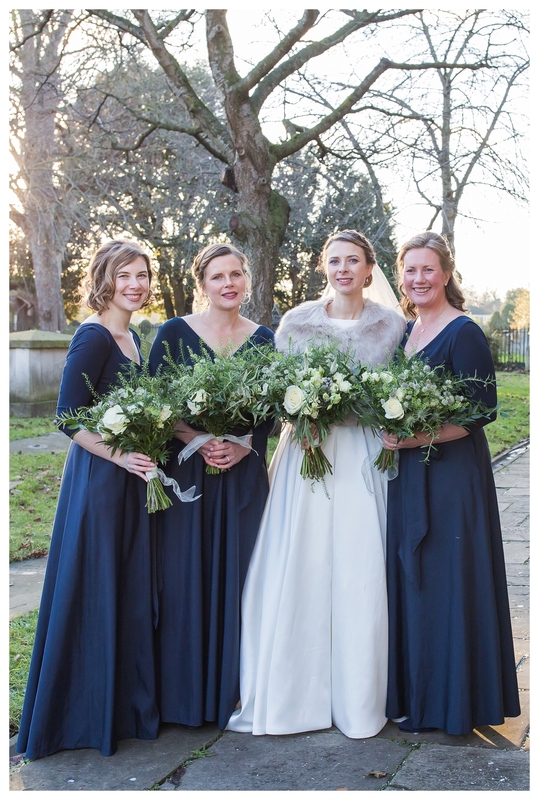 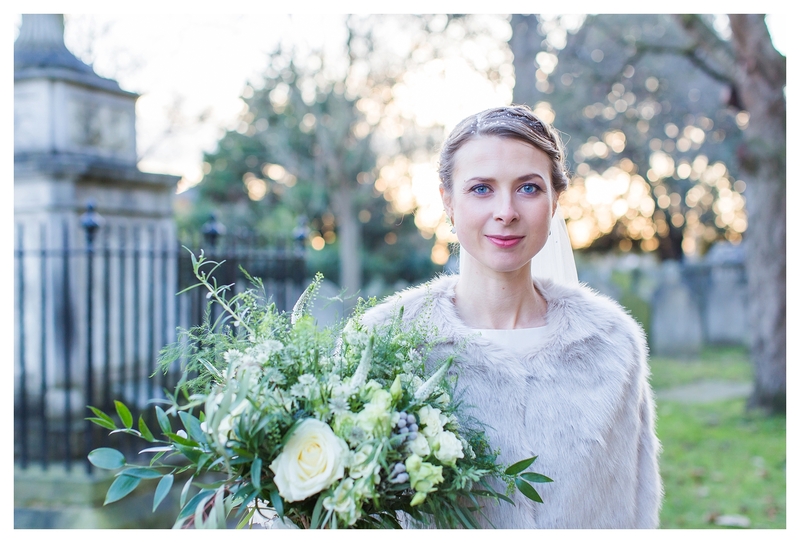 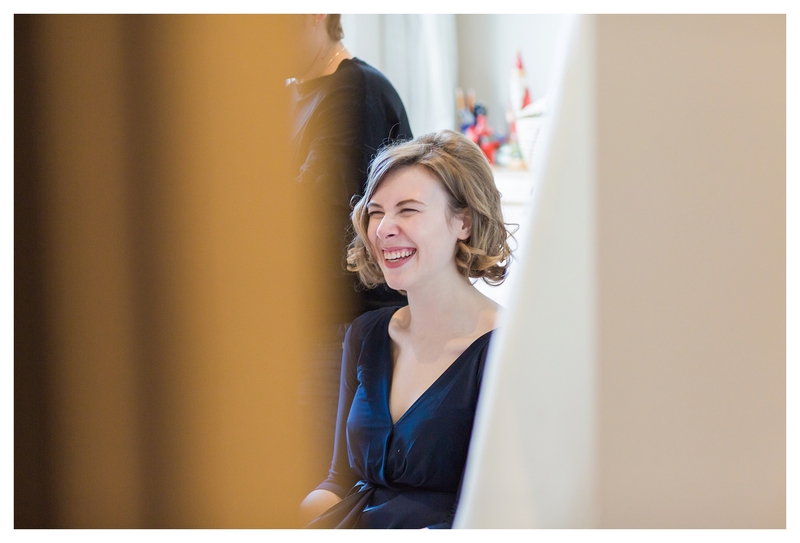 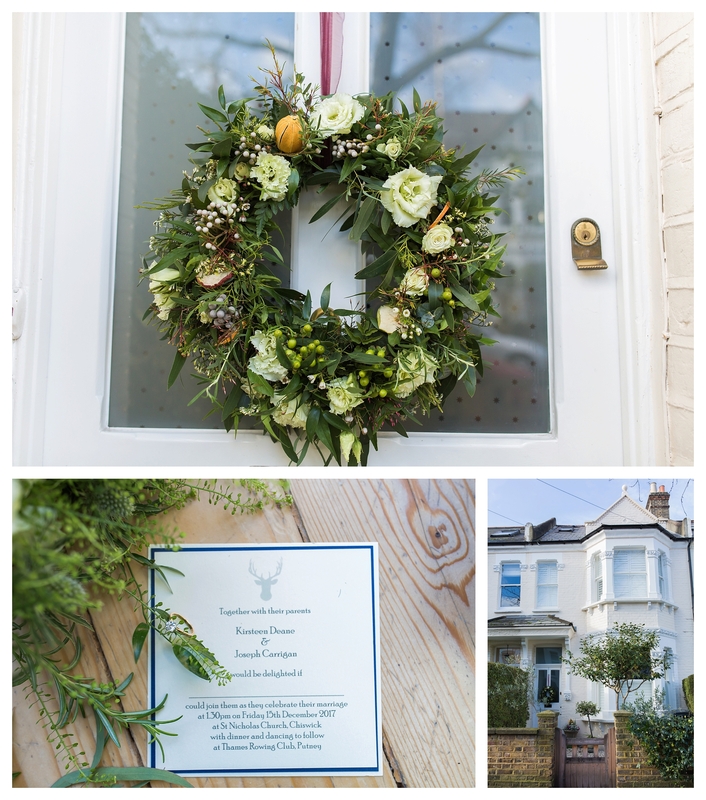 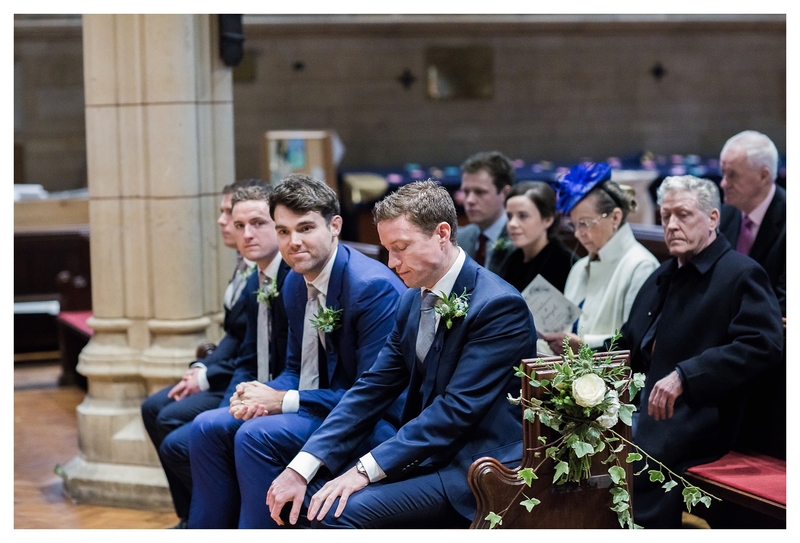 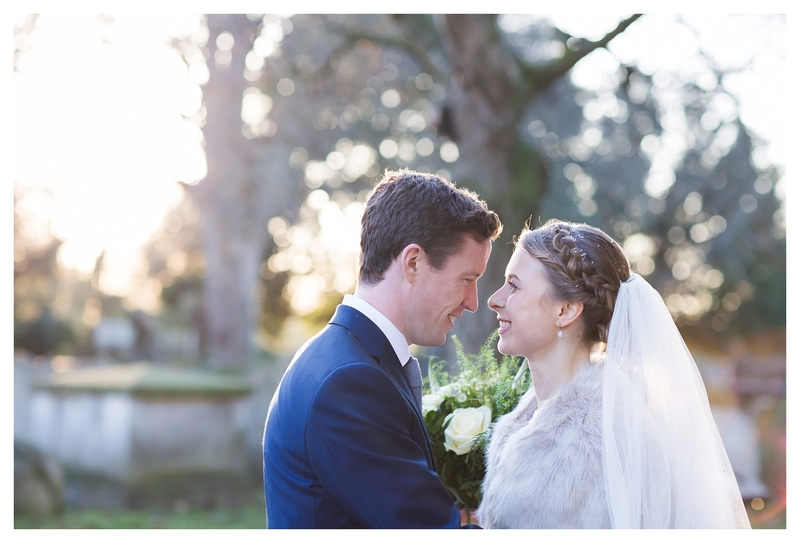 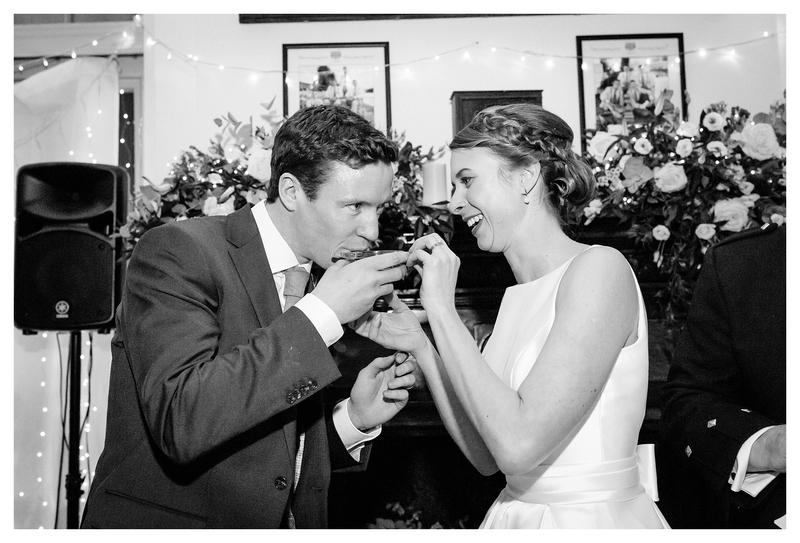 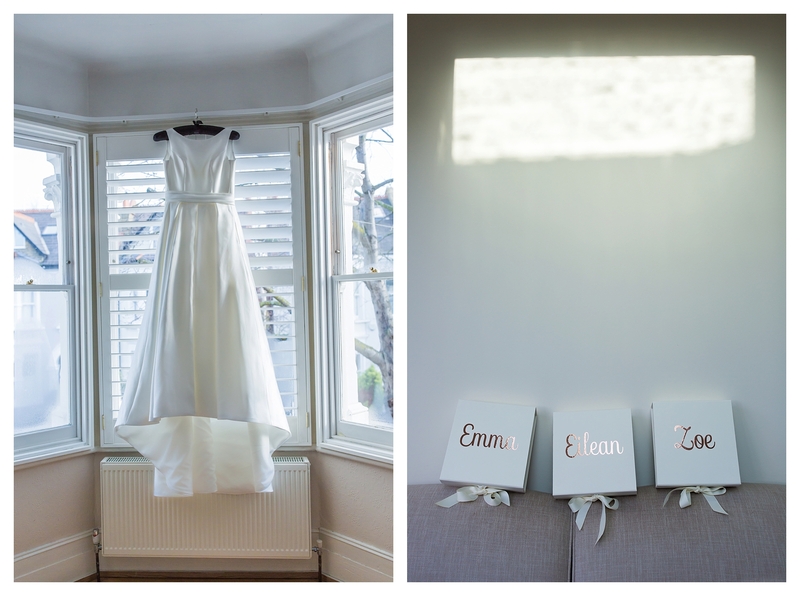 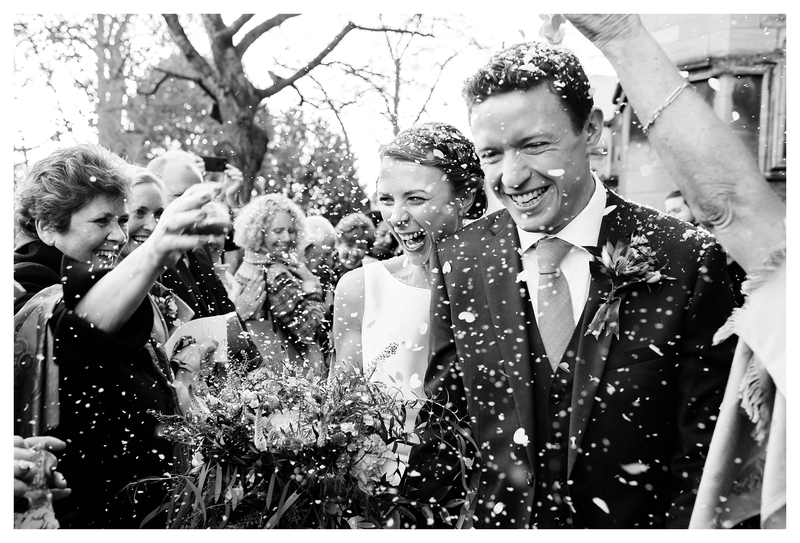 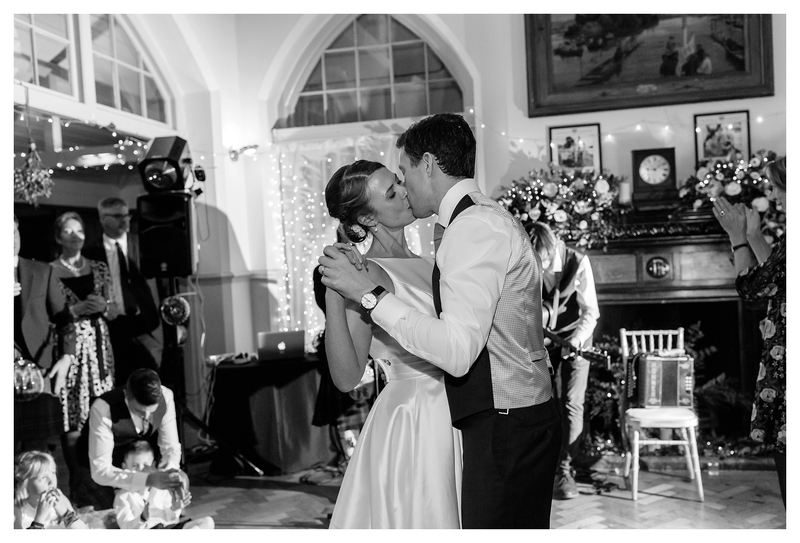 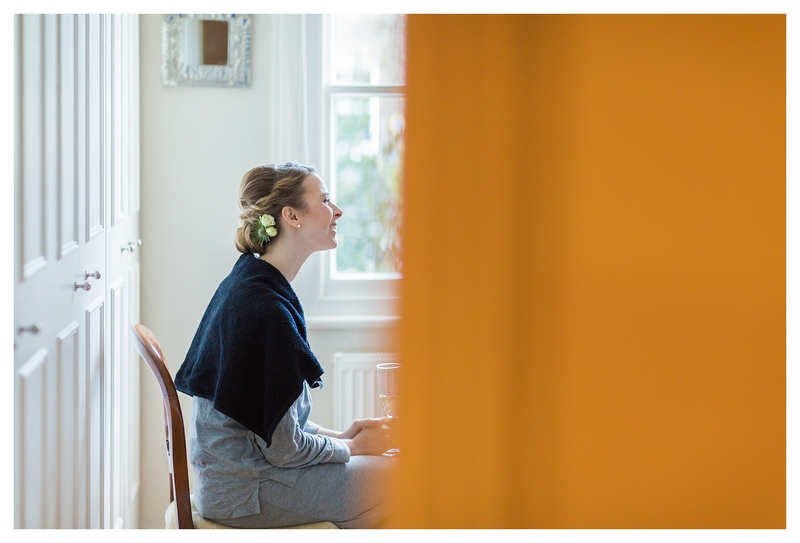 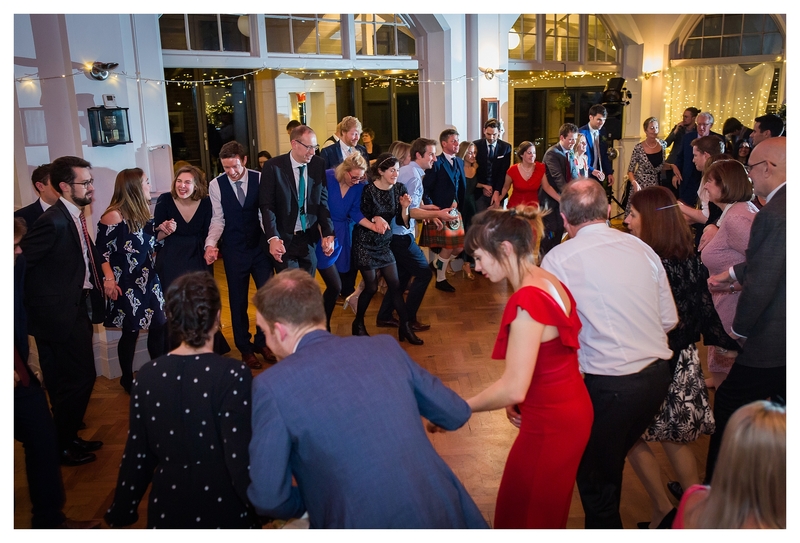 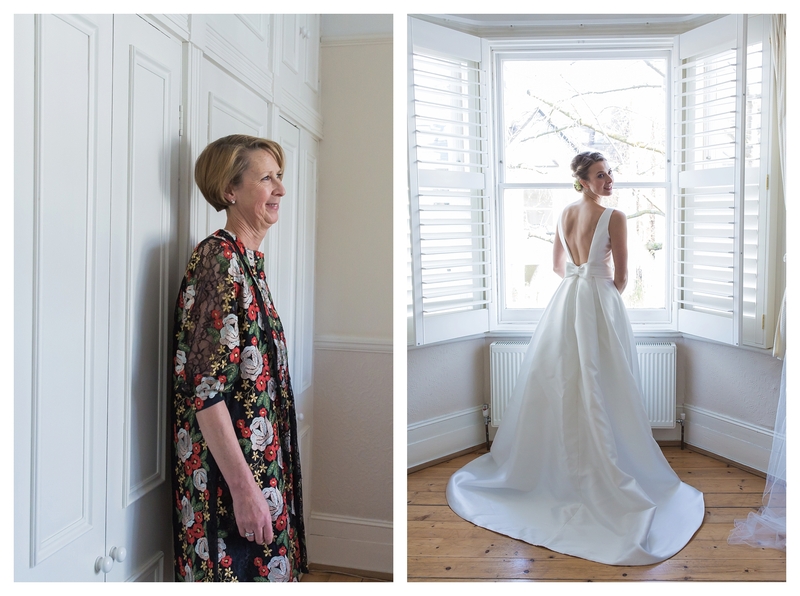 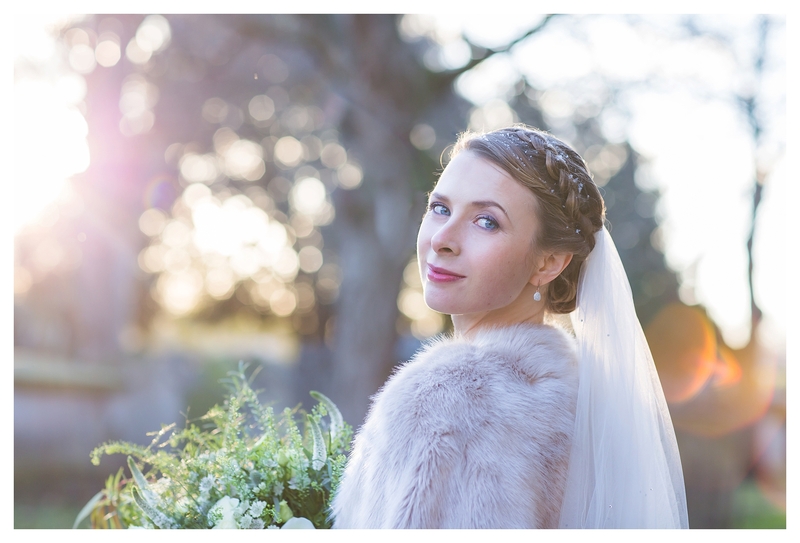 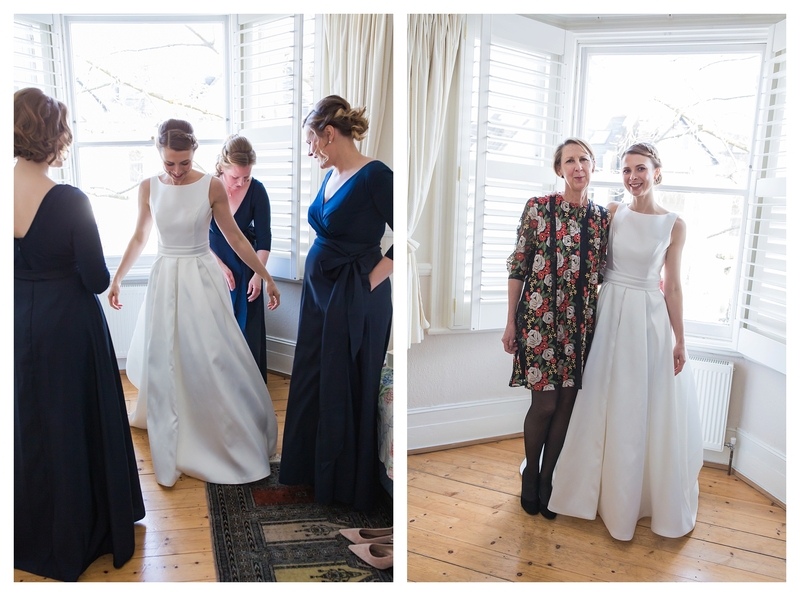 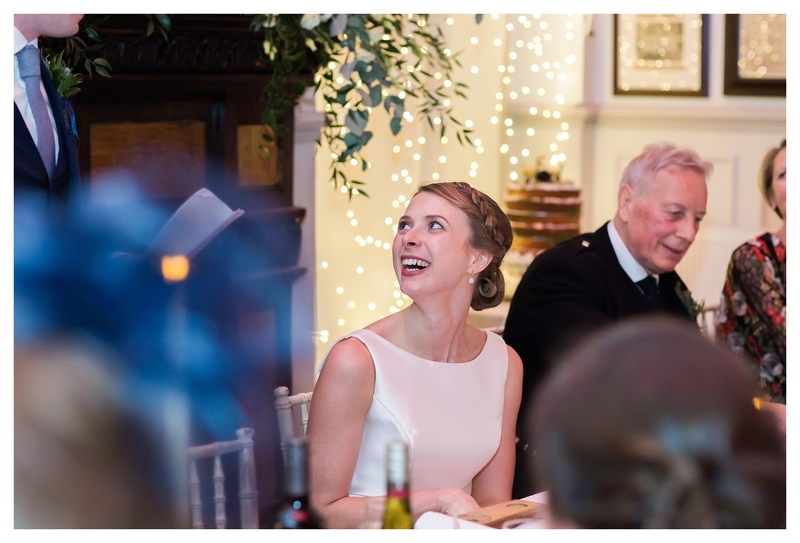 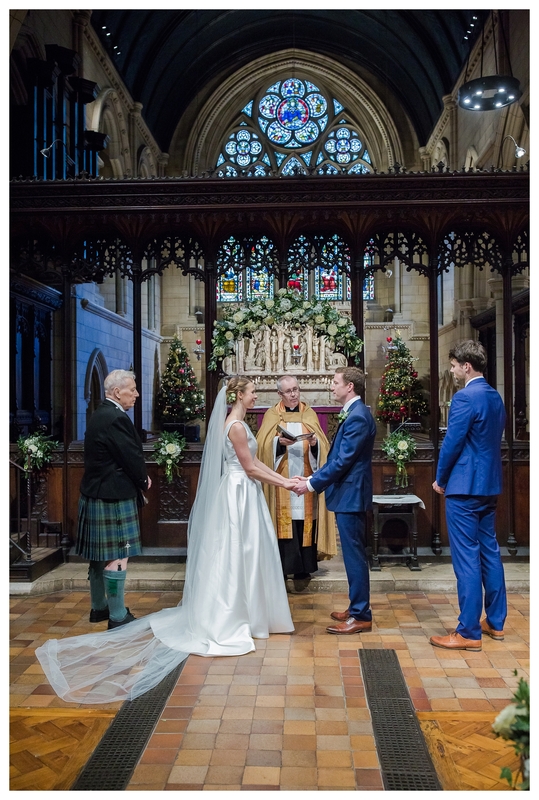 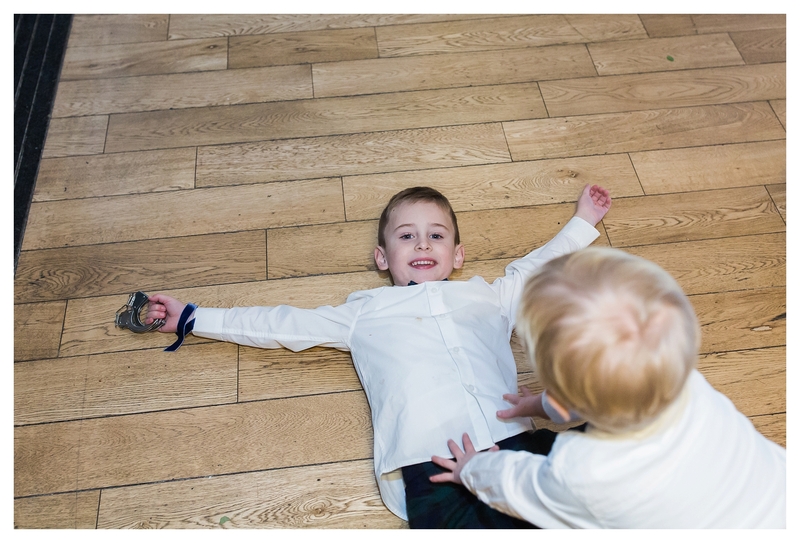 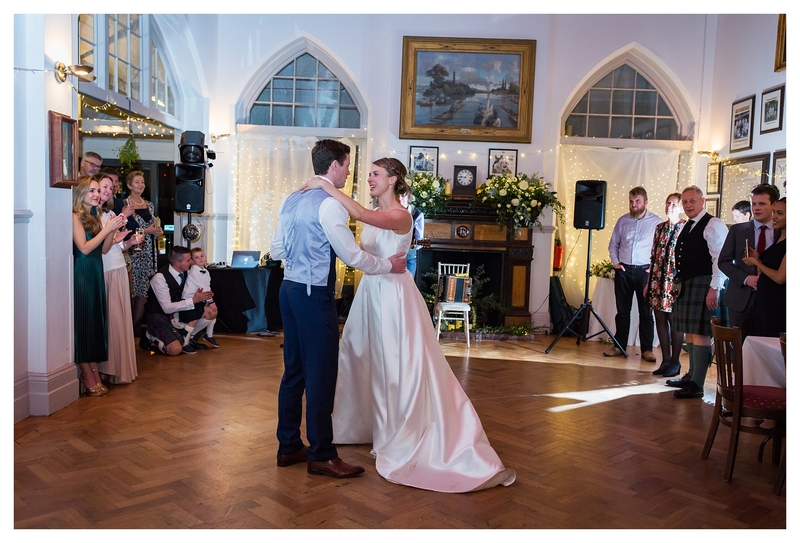 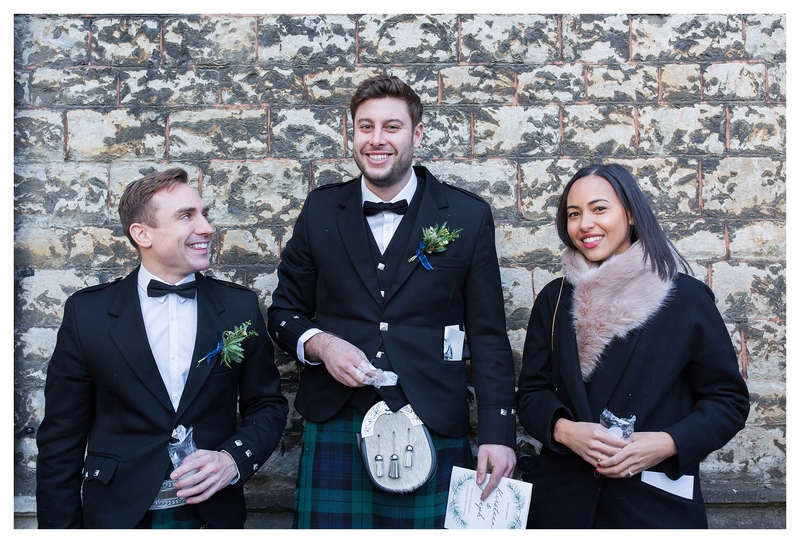 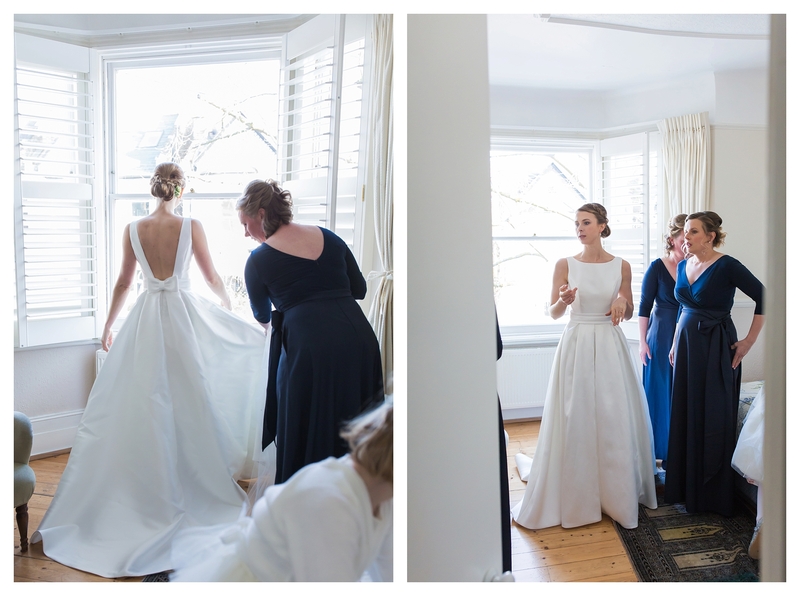 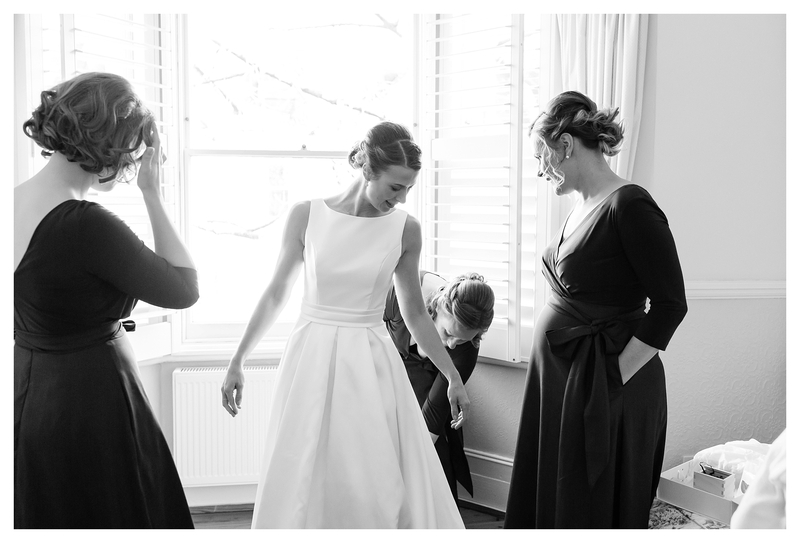 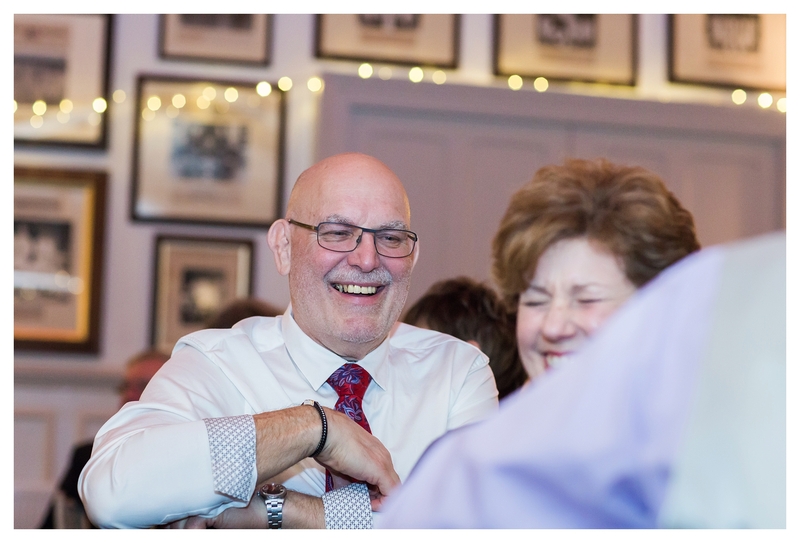 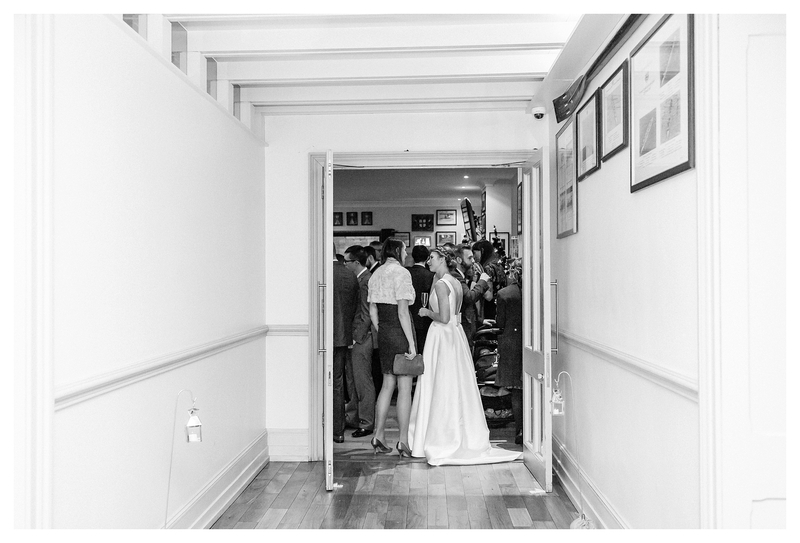 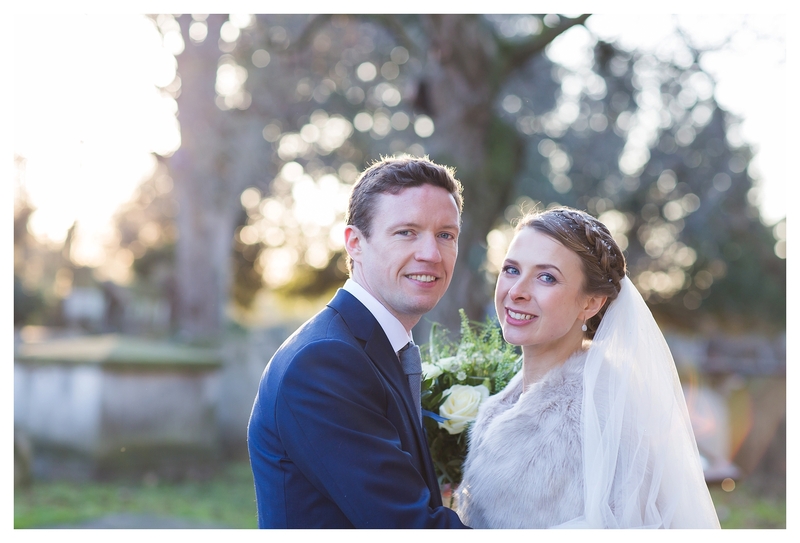 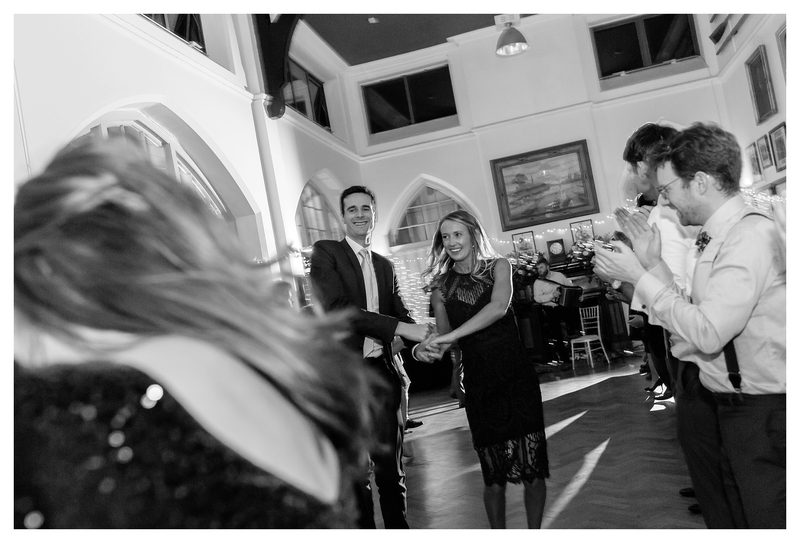 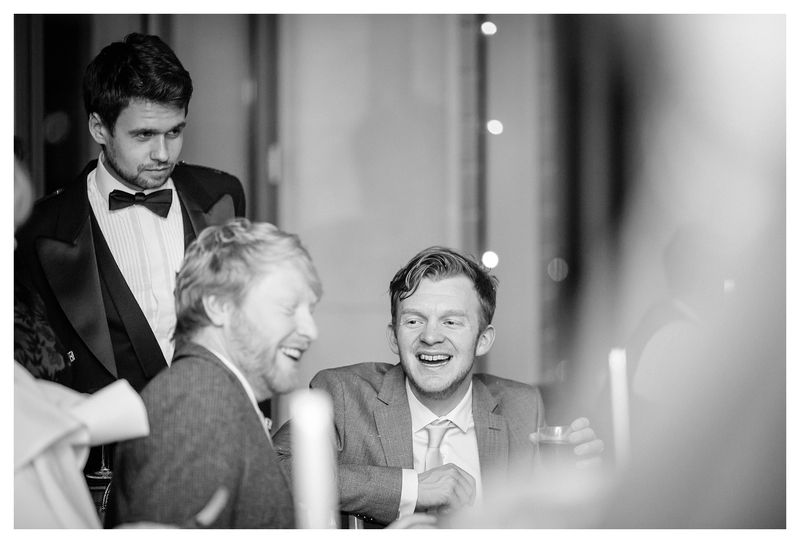 Hi all, I’m so happy to share Kirsteen and Joe’s elegant winter wedding in London which took place in Chiswick and Putney, at the Thames Rowing Club. 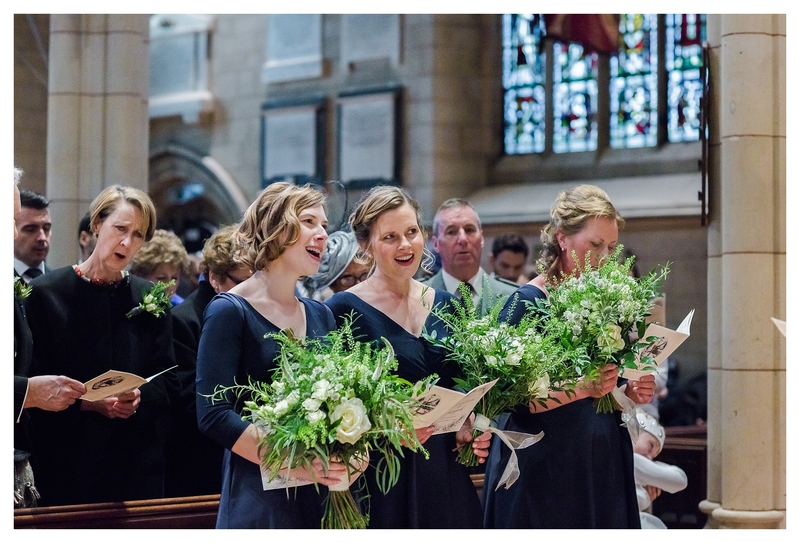 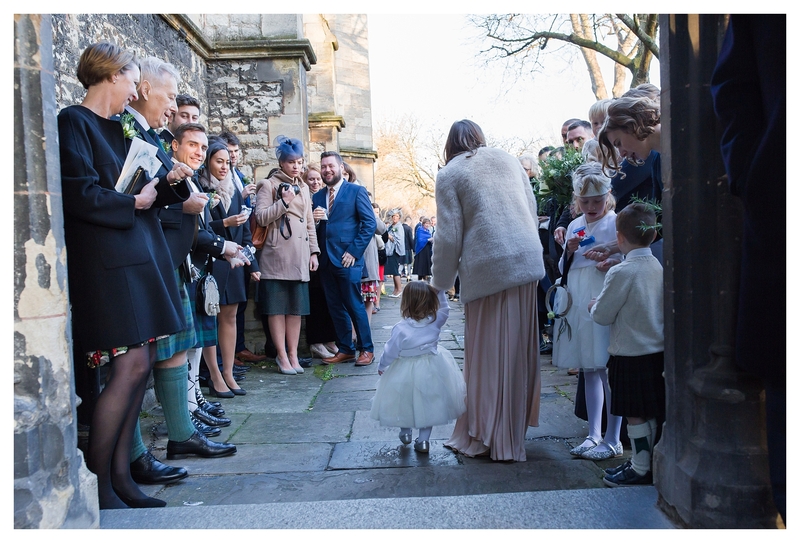 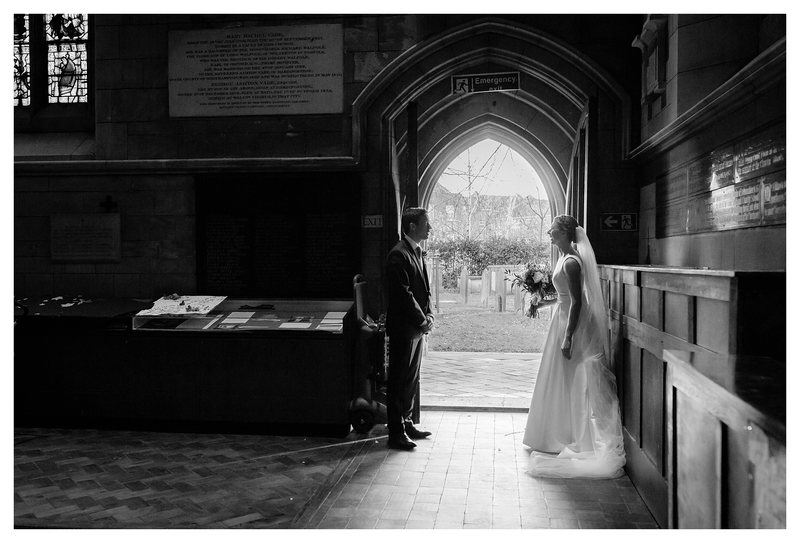 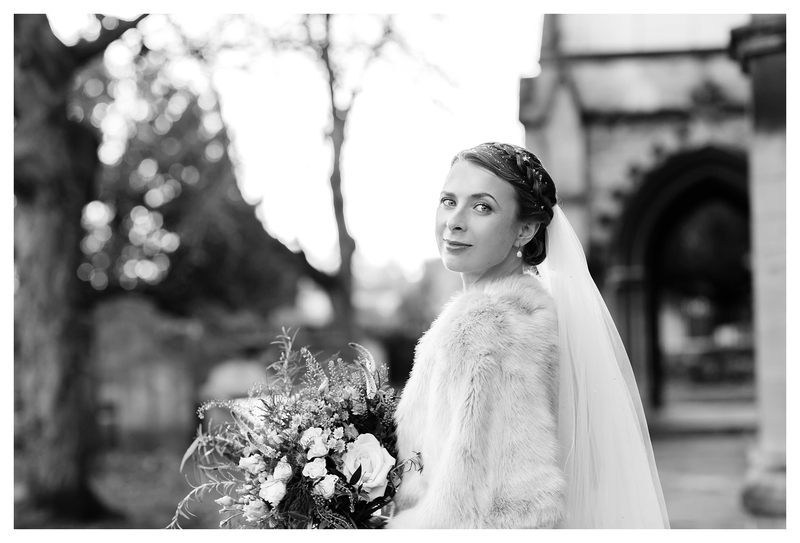 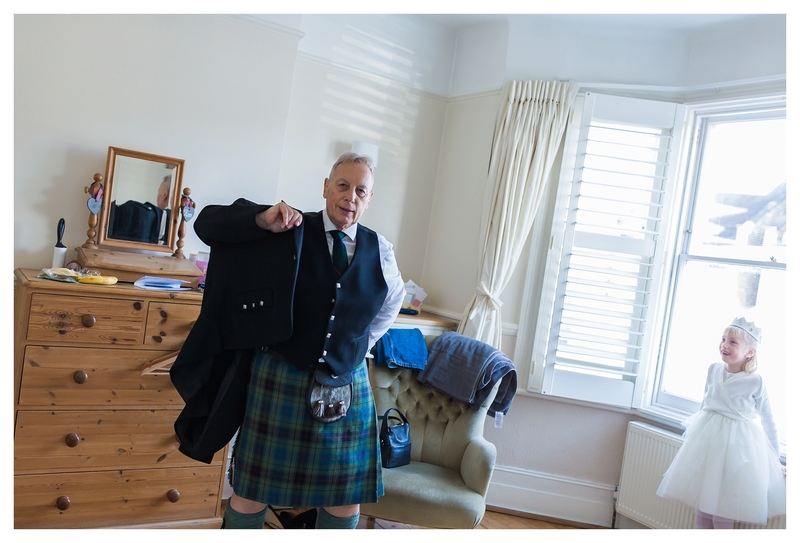 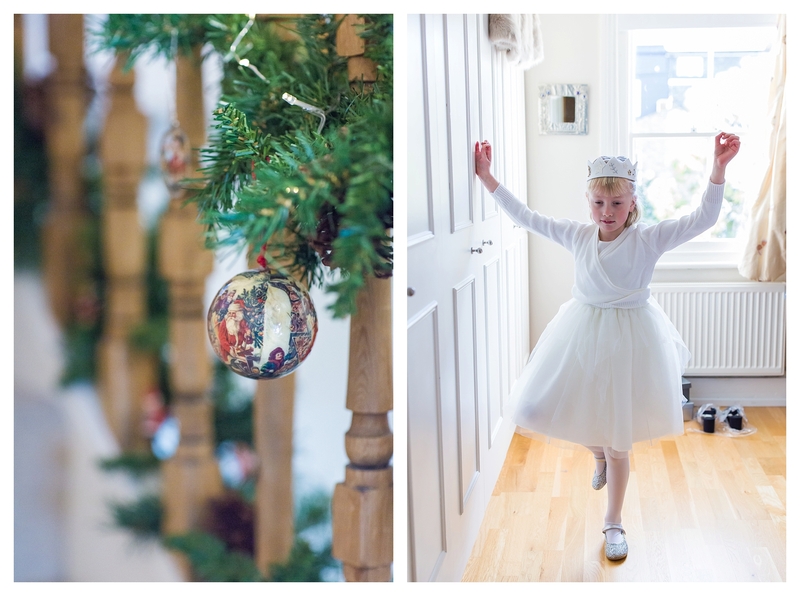 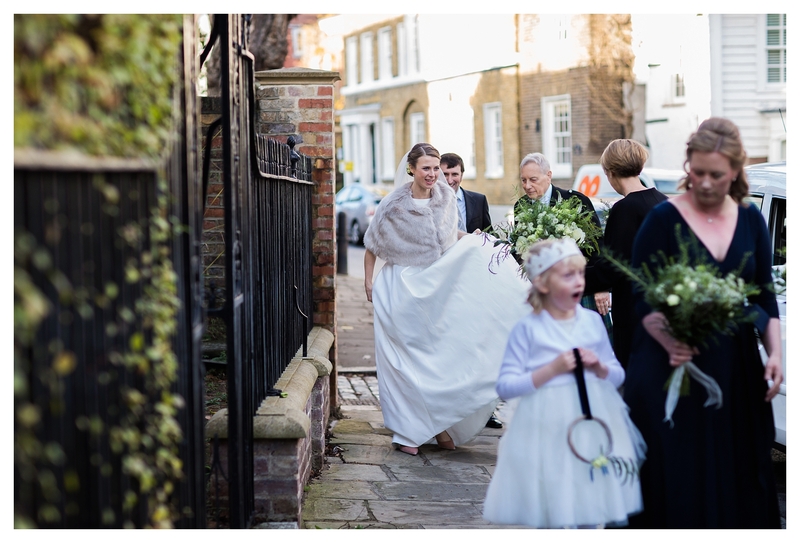 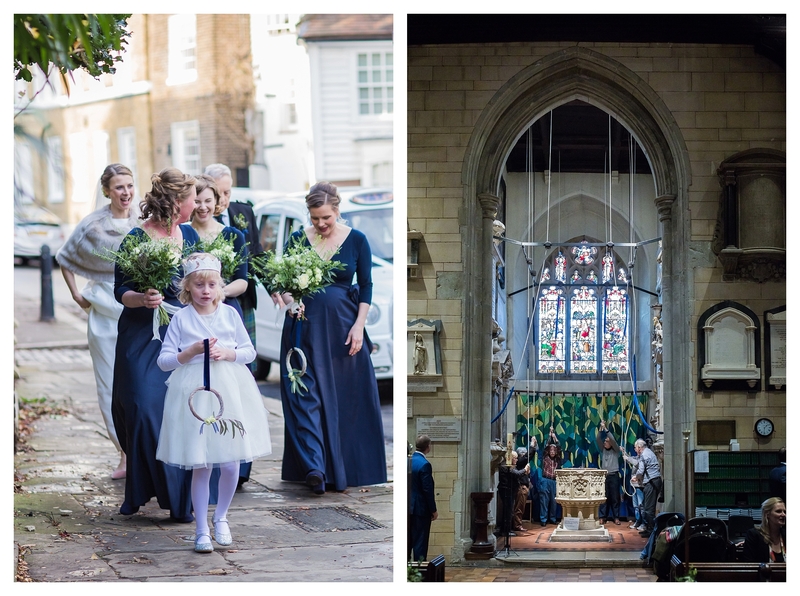 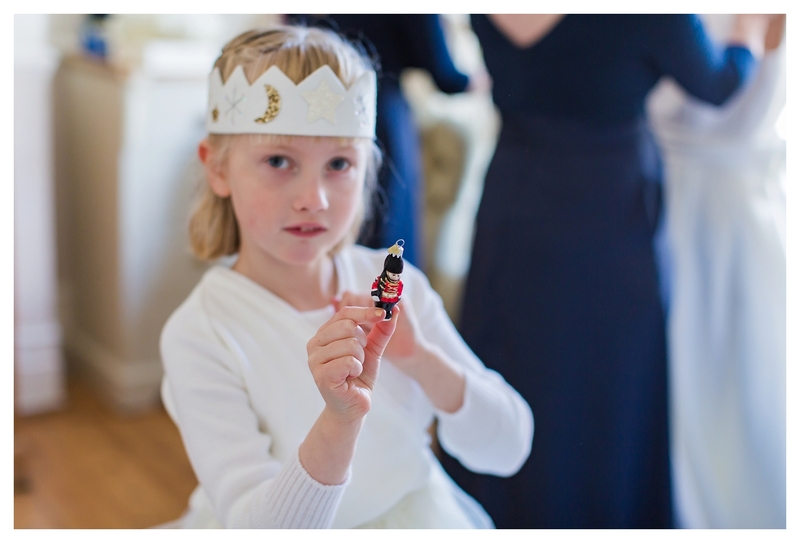 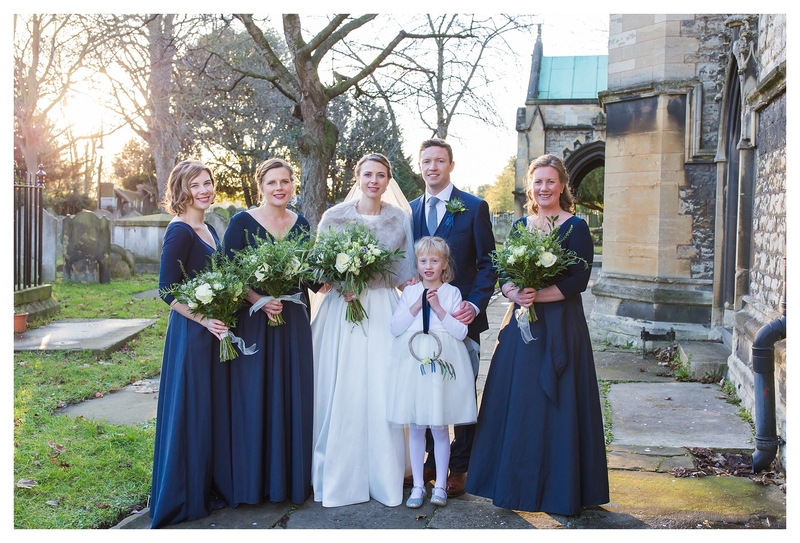 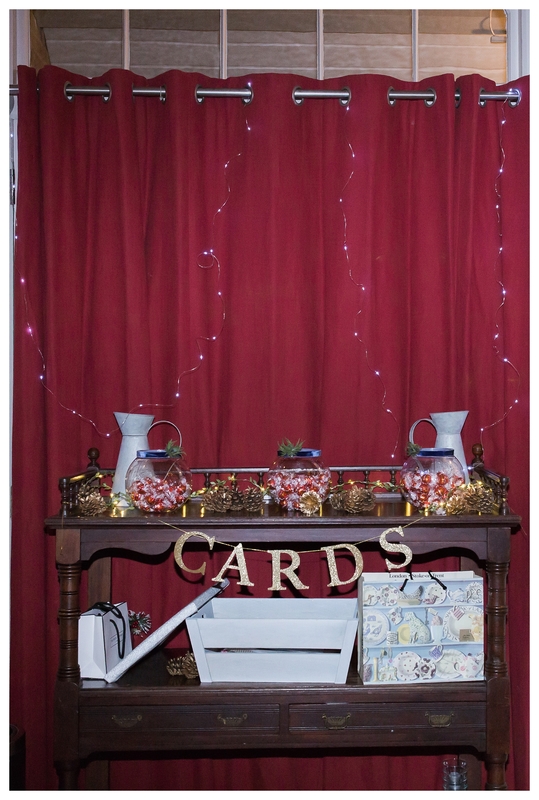 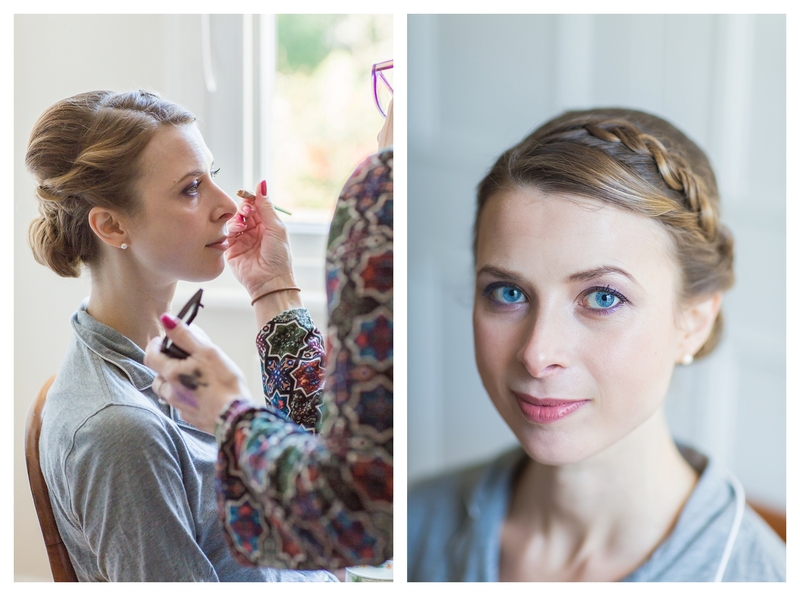 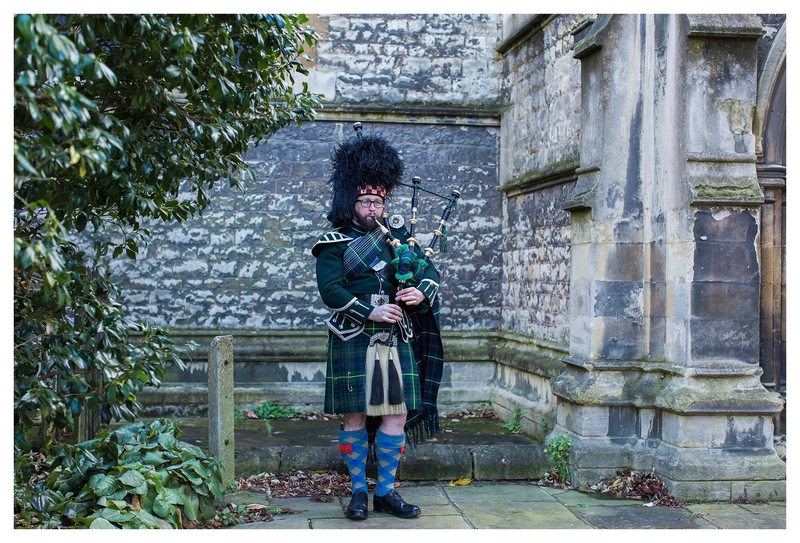 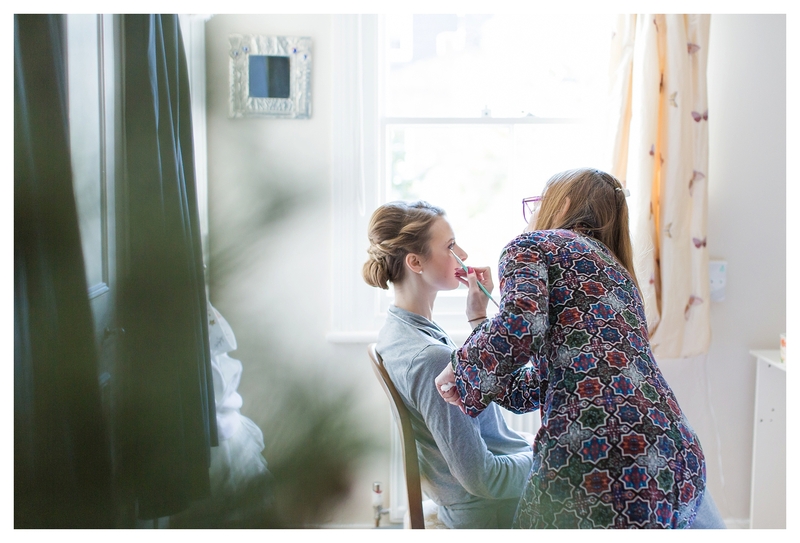 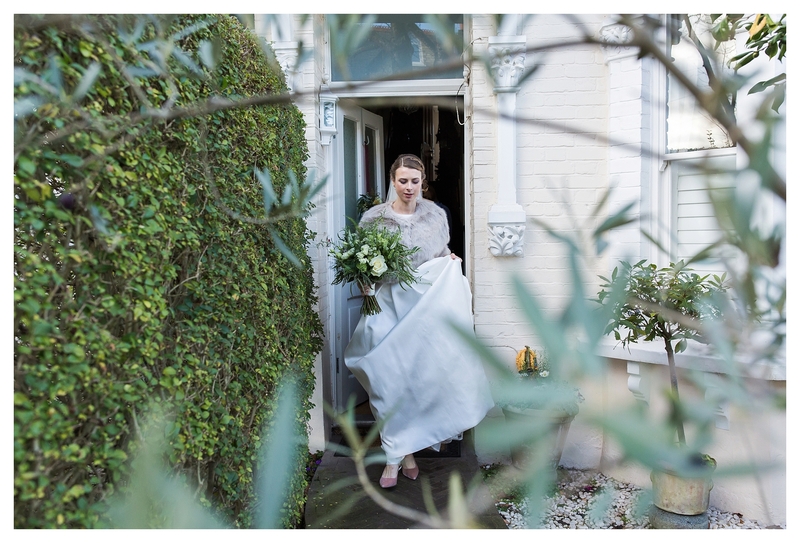 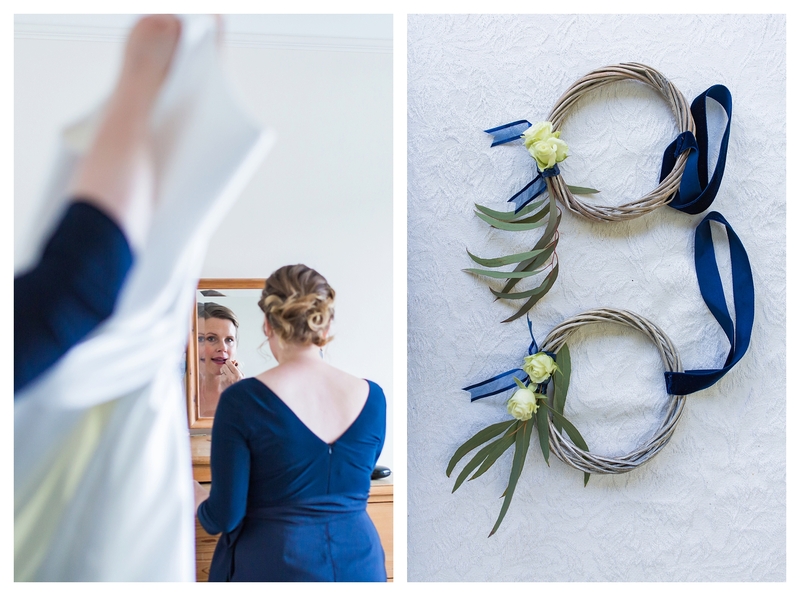 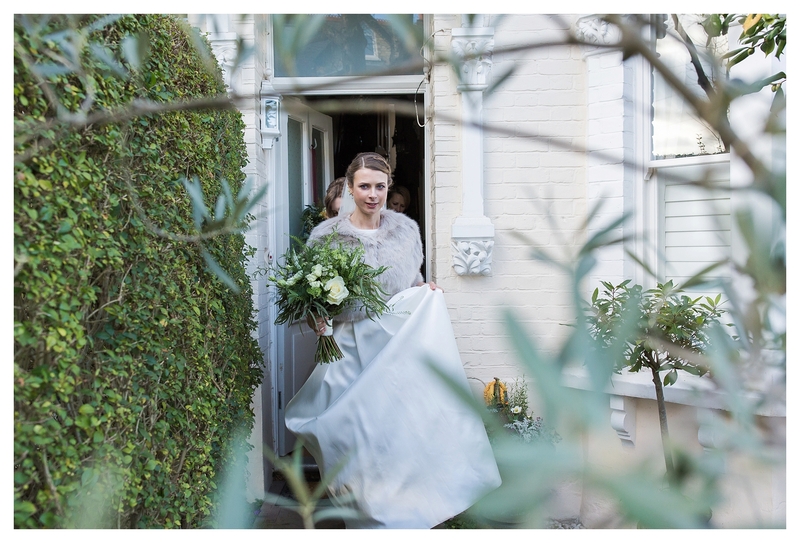 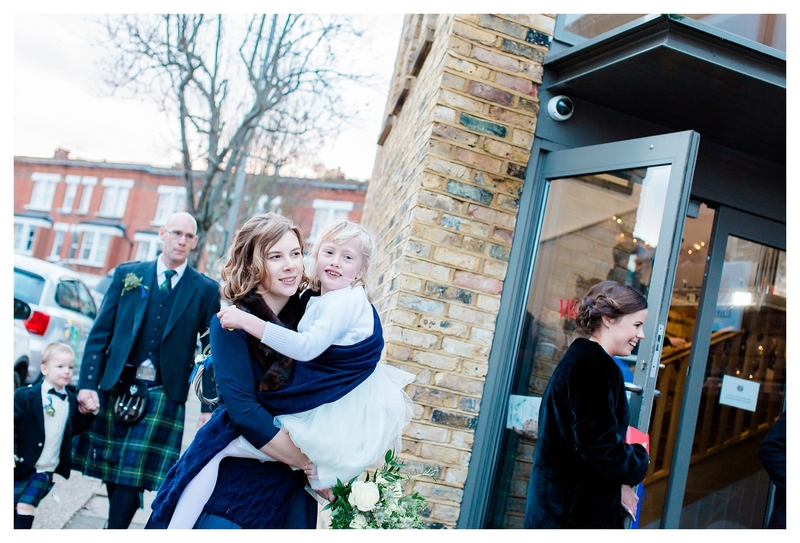 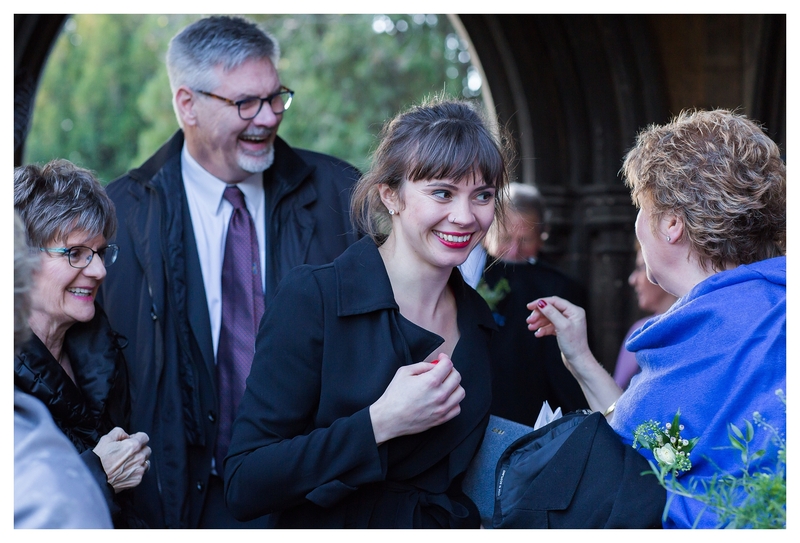 Kirsteen prepared at her parent’s home in Chiswick alongside her family and afterwards, they made their way to the historic St.Nicholas’ church where their guests and a nervous-looking Joe were waiting. 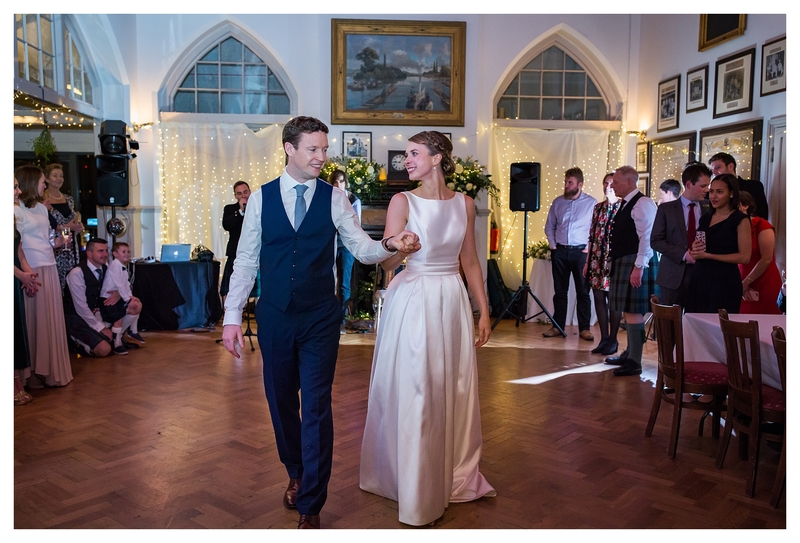 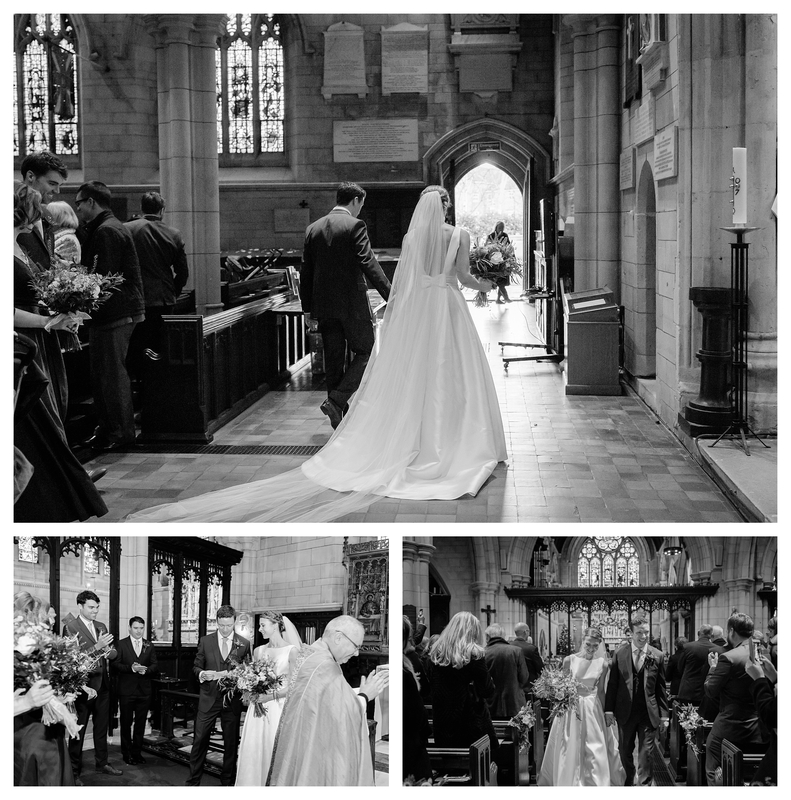 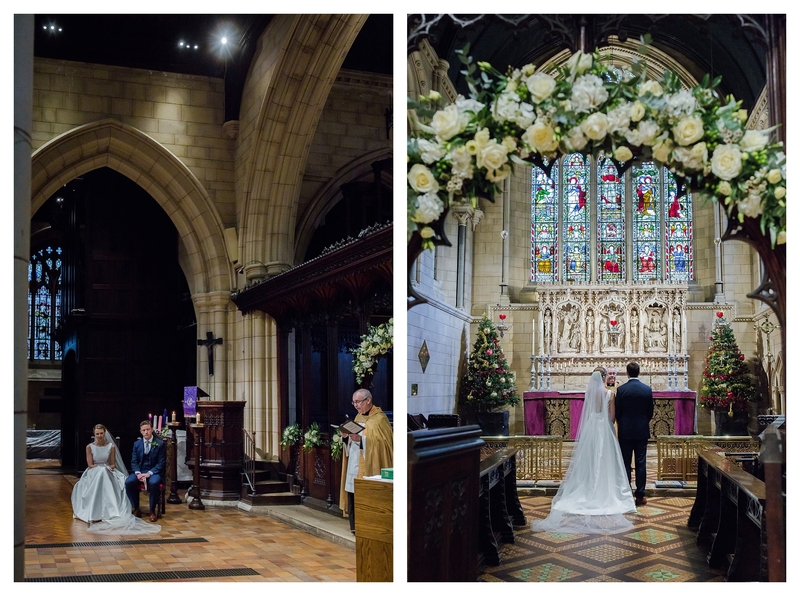 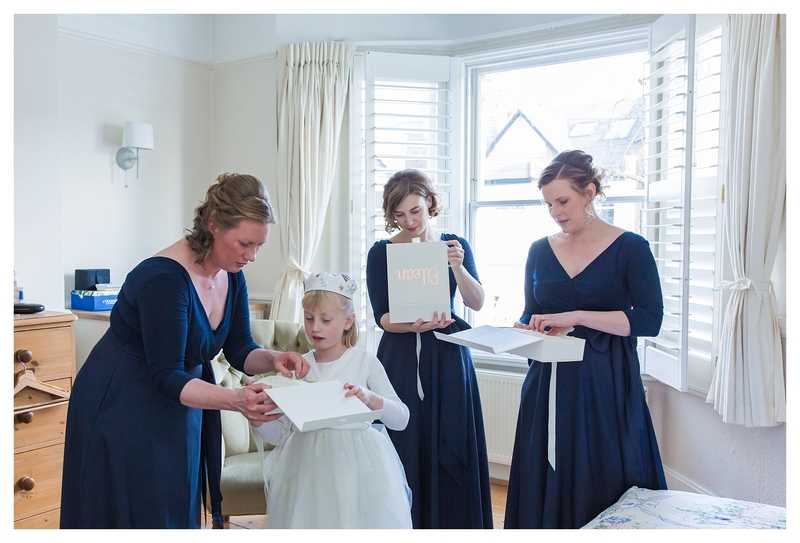 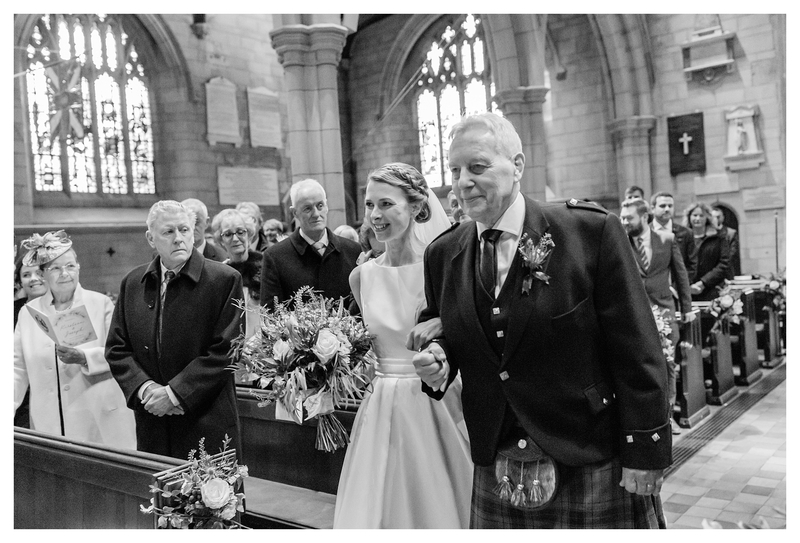 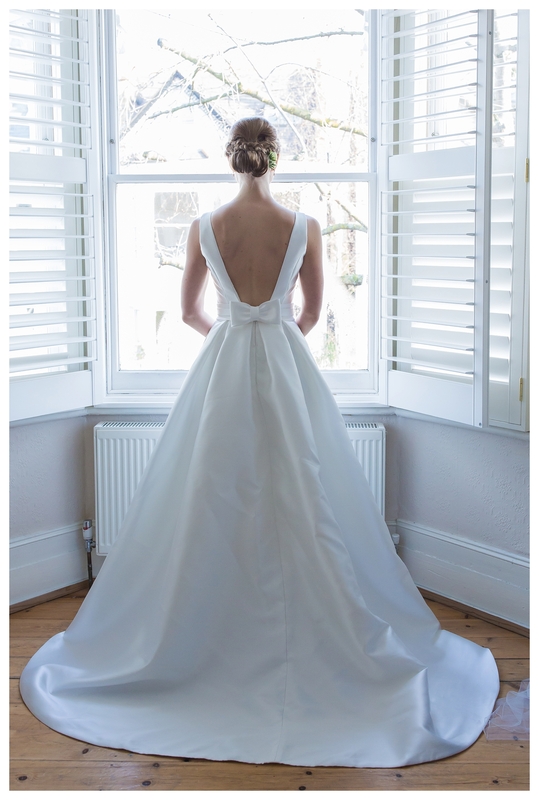 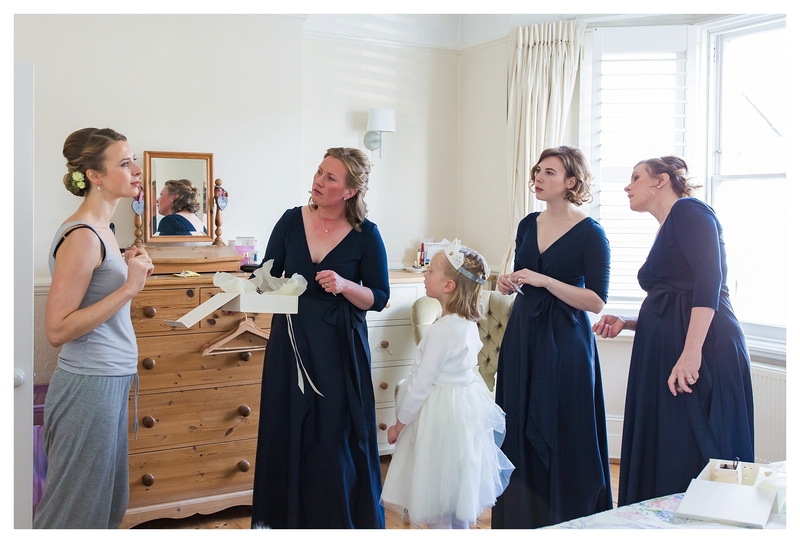 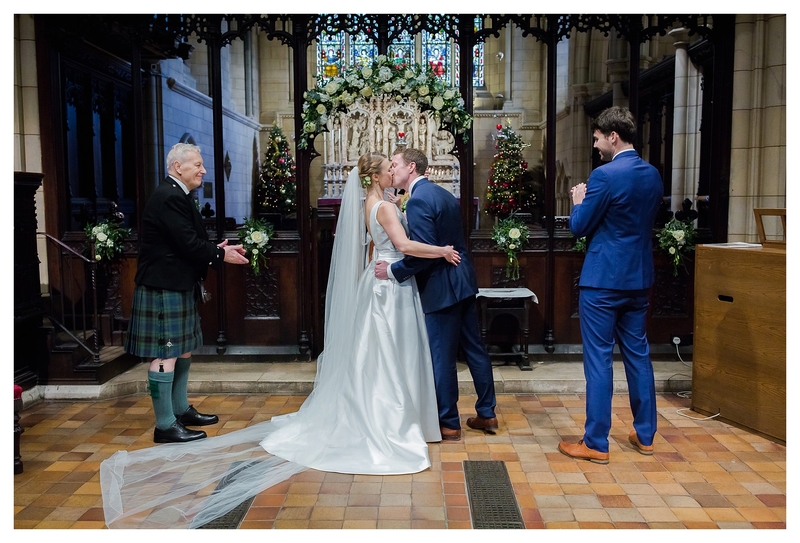 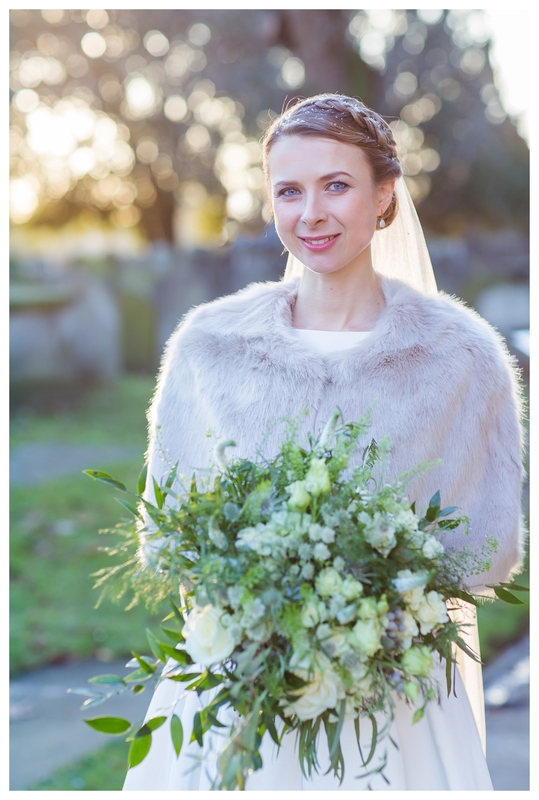 She looked a picture of beauty in her gorgeous Shamali gown from Daisy’s Bridal Couture. 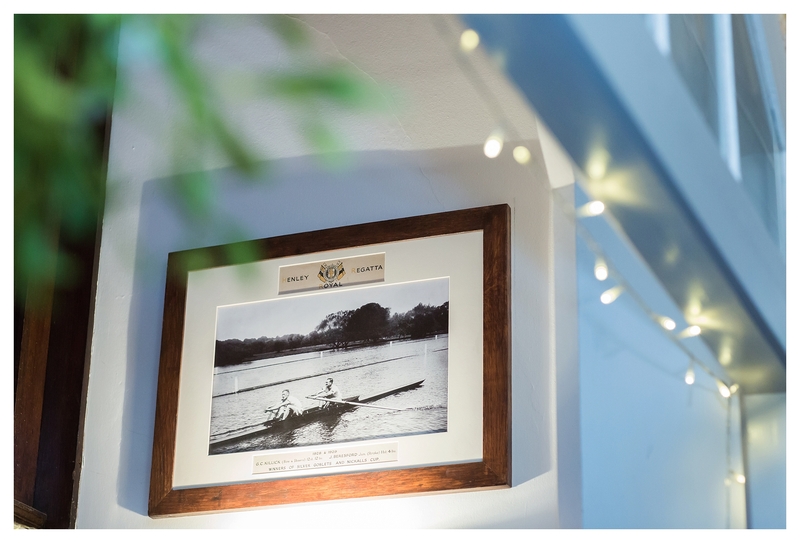 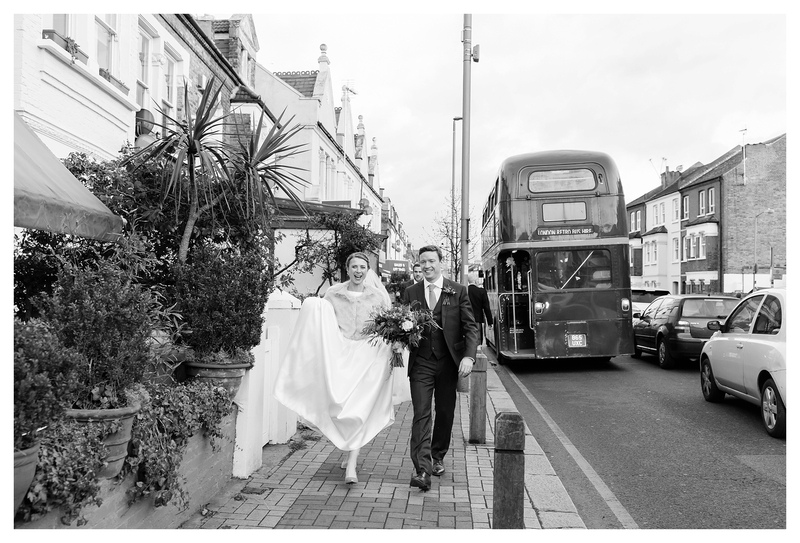 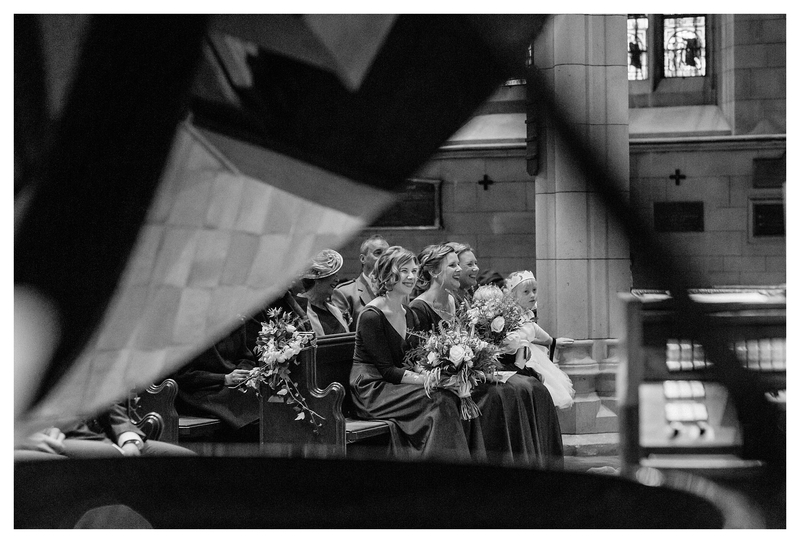 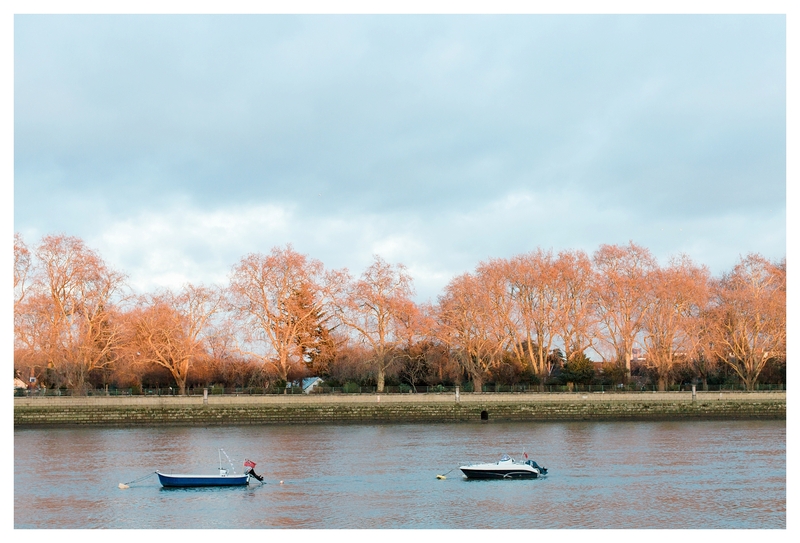 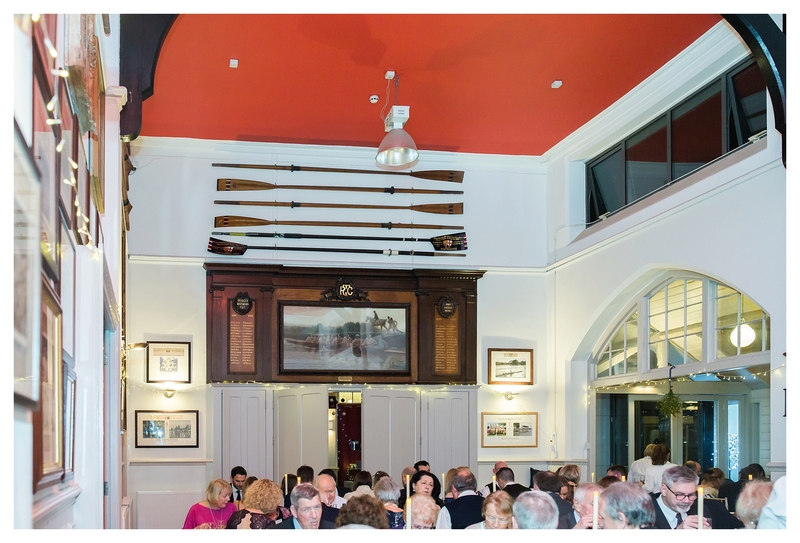 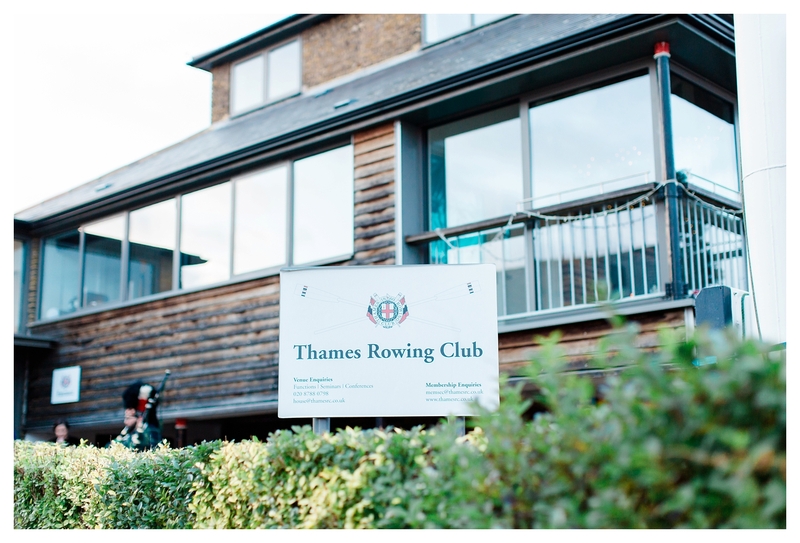 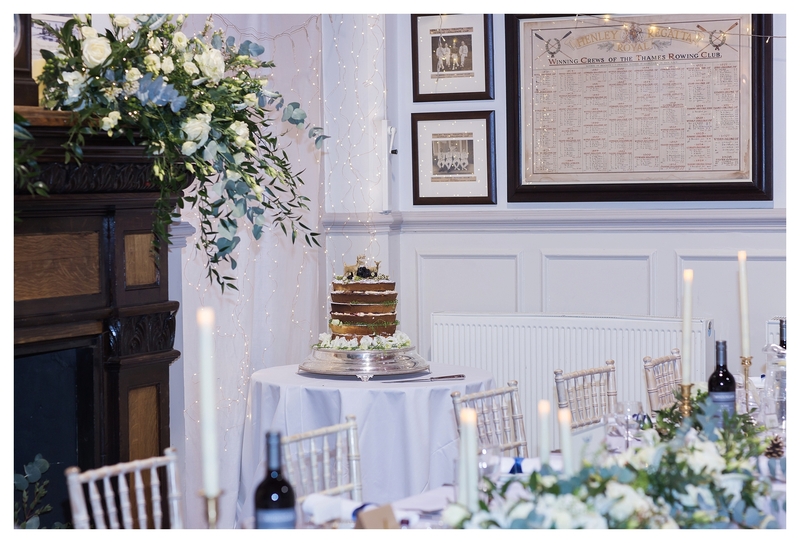 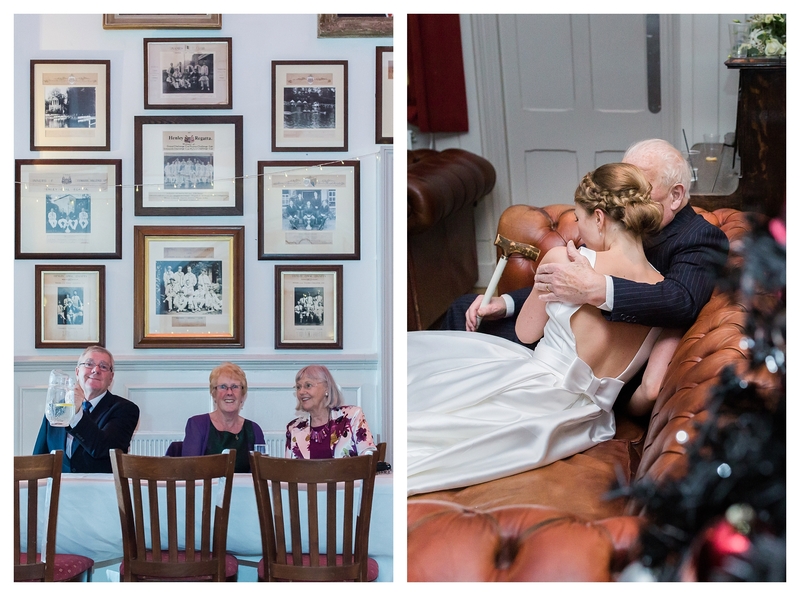 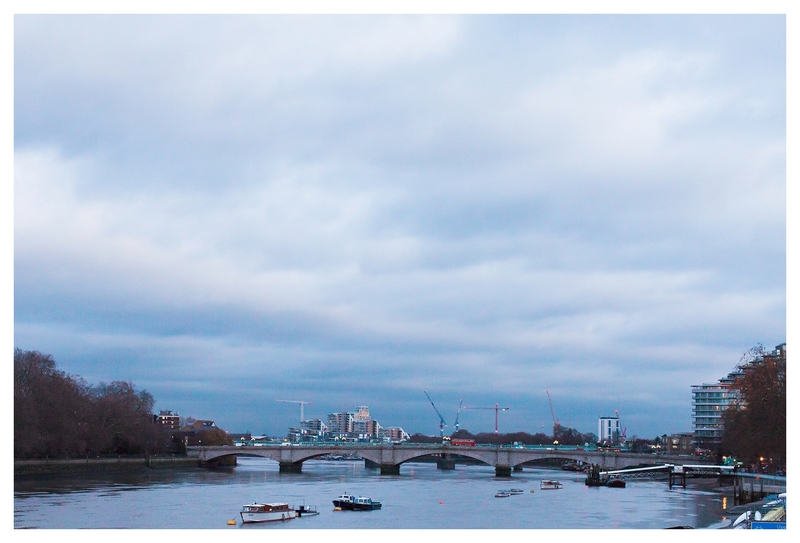 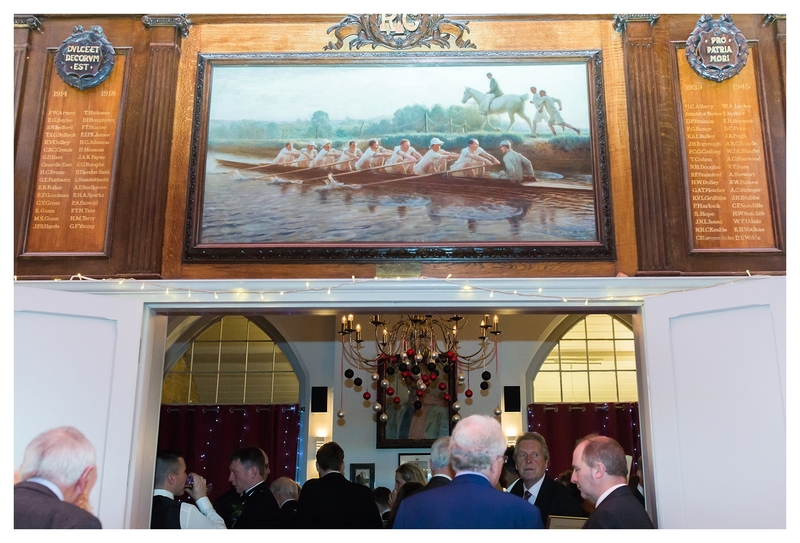 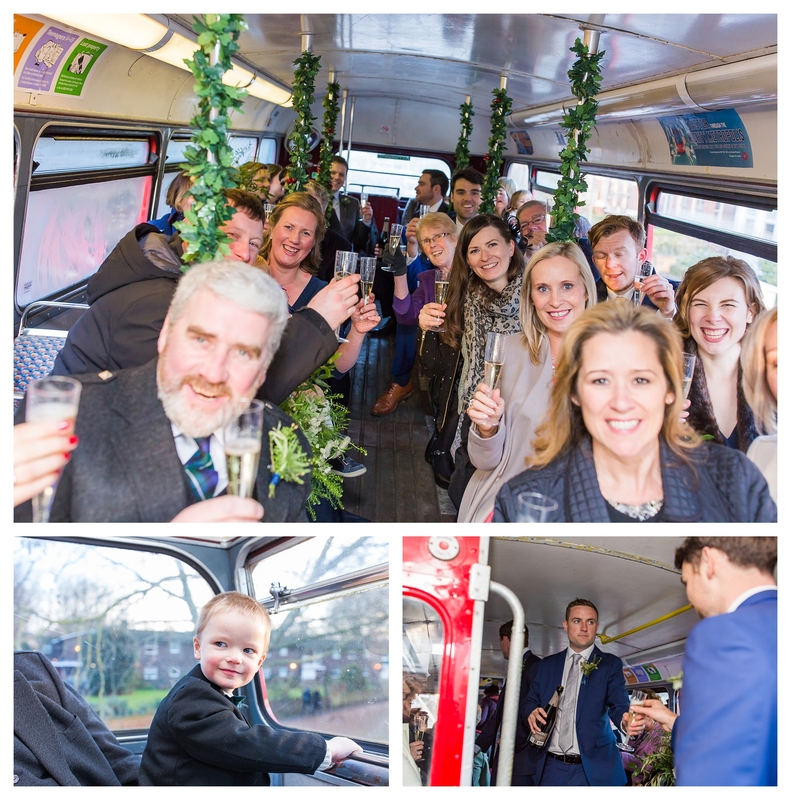 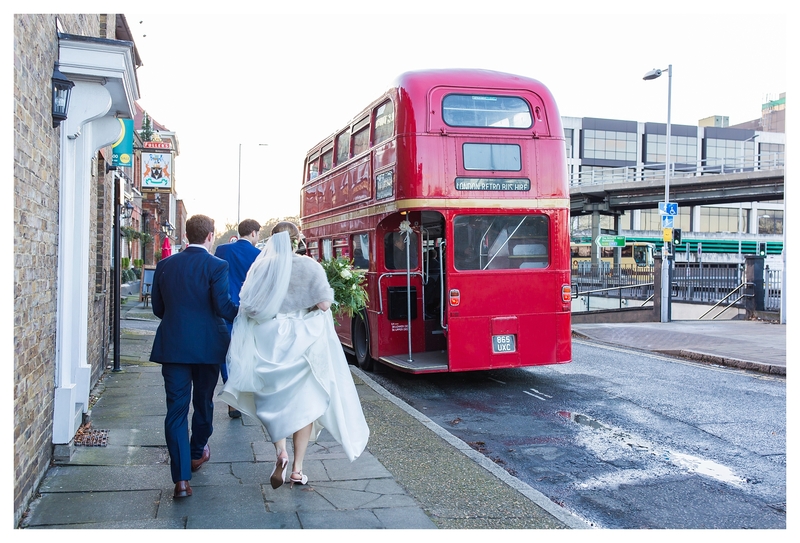 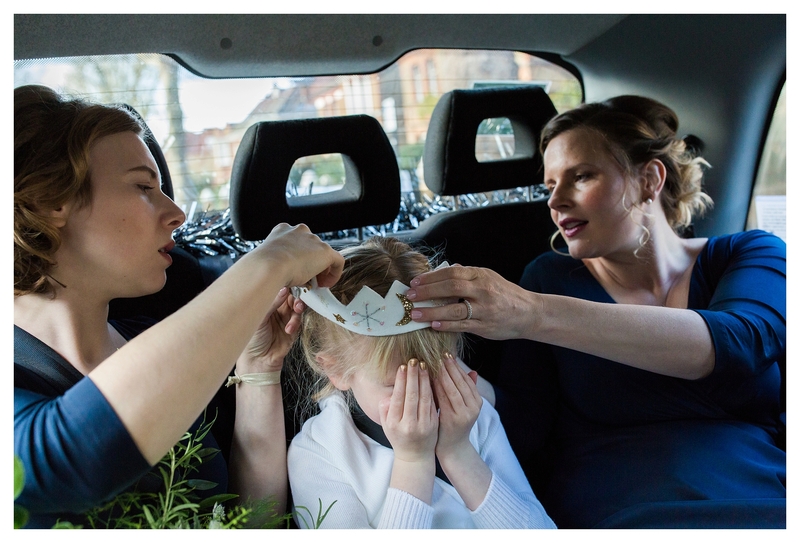 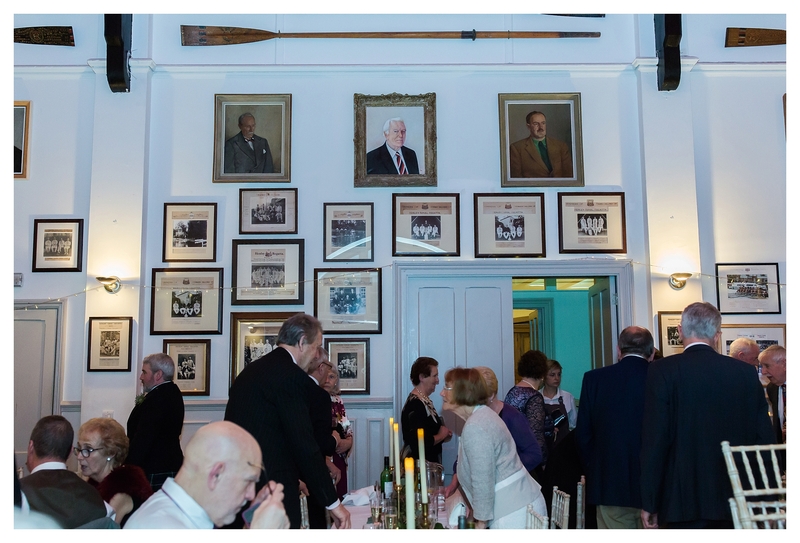 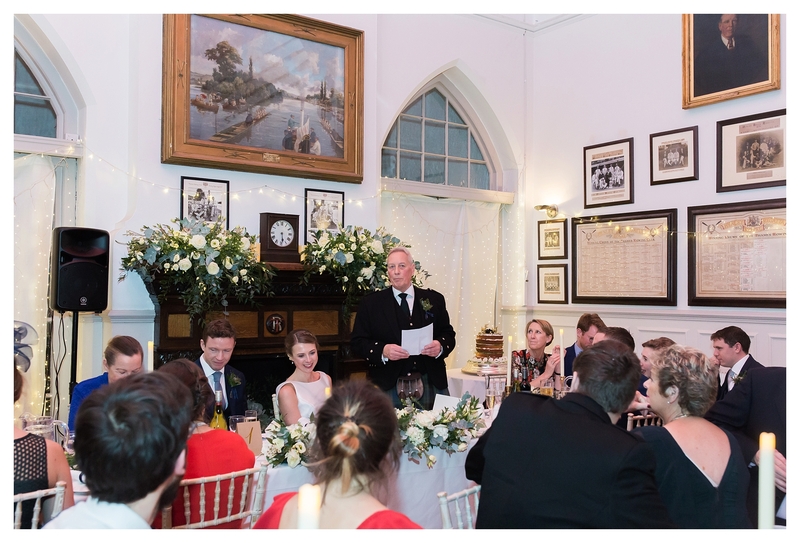 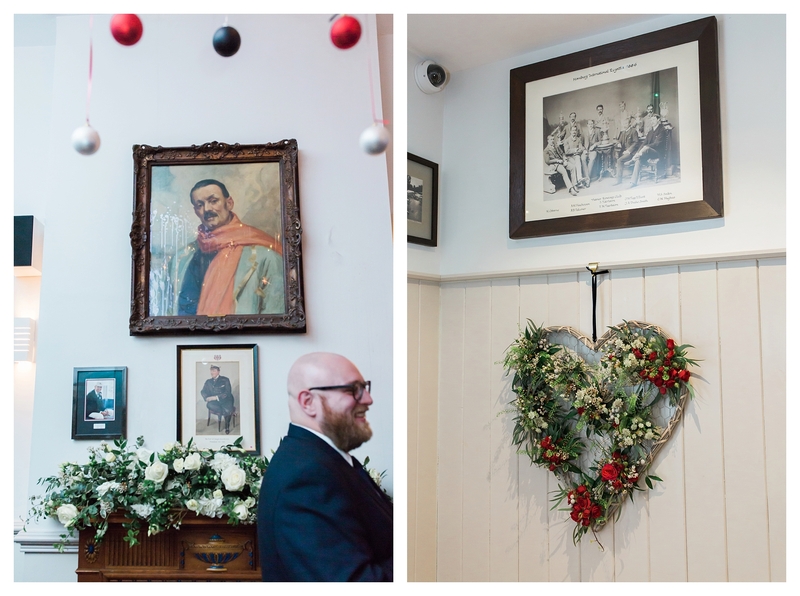 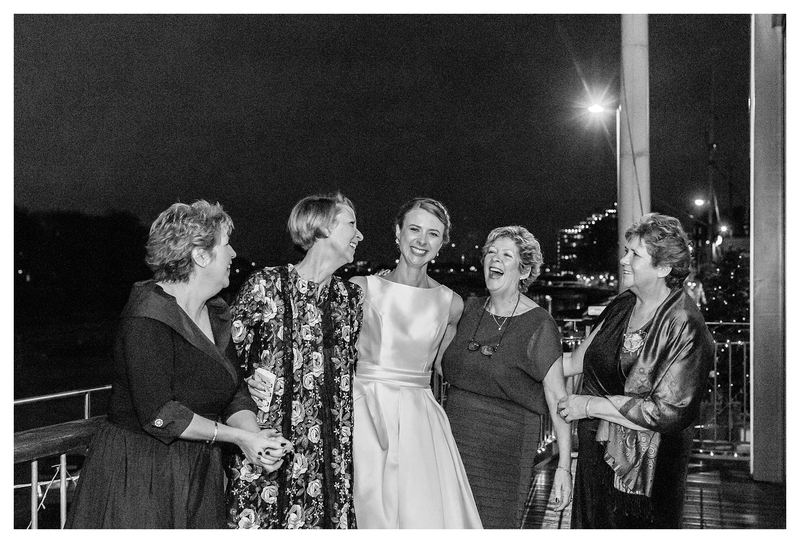 After the ceremony, the guests travelled on private London bus to their Putney wedding venue, the Thames Rowing Club. 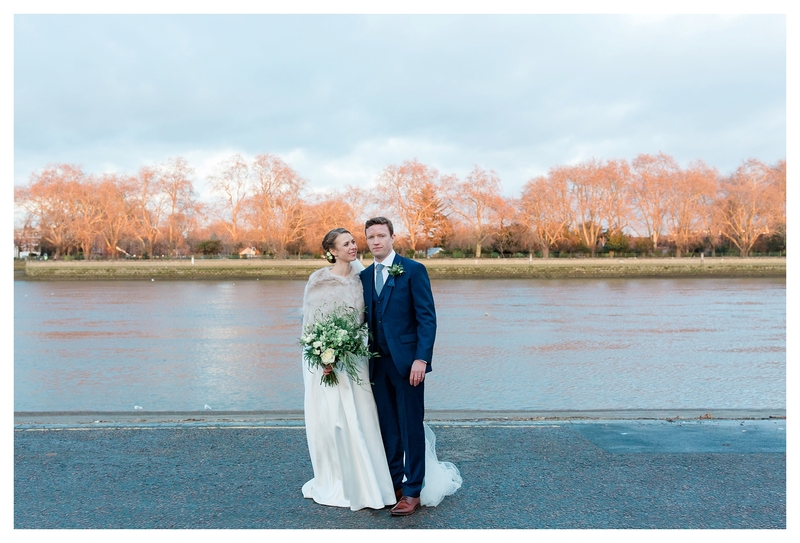 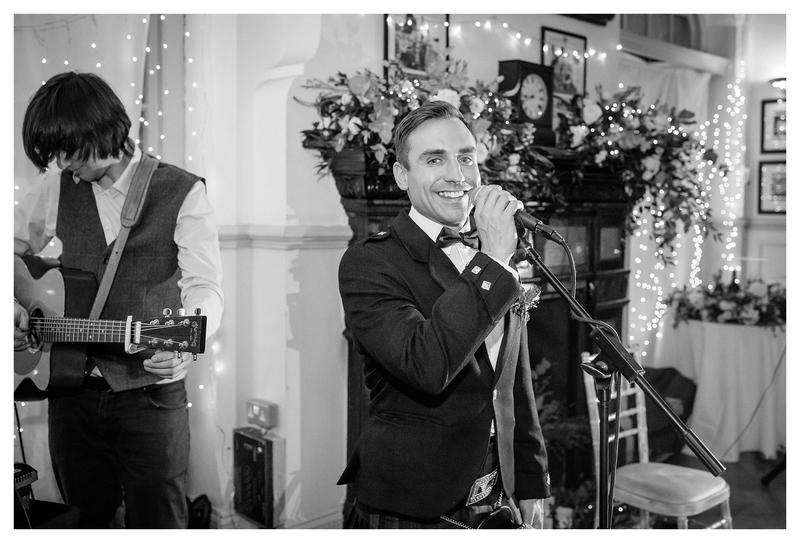 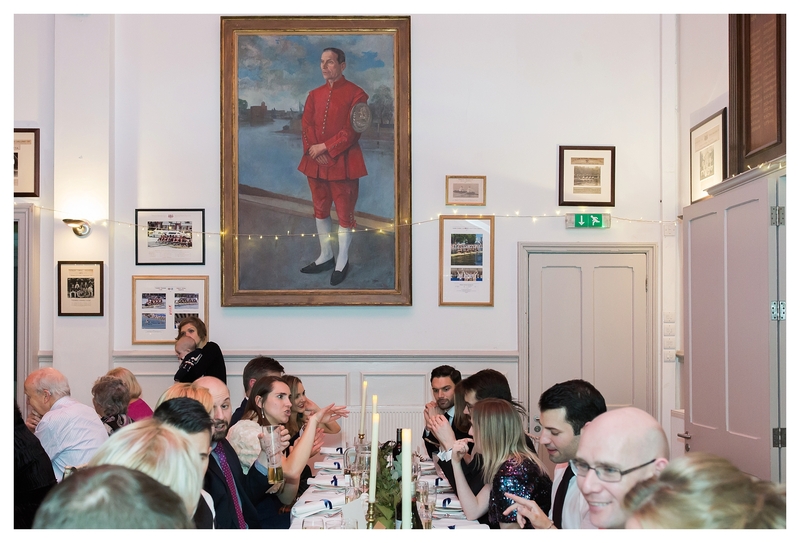 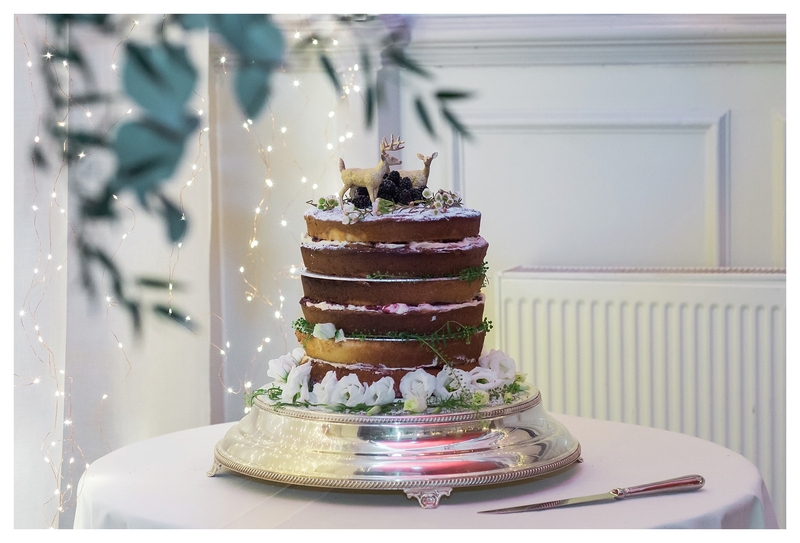 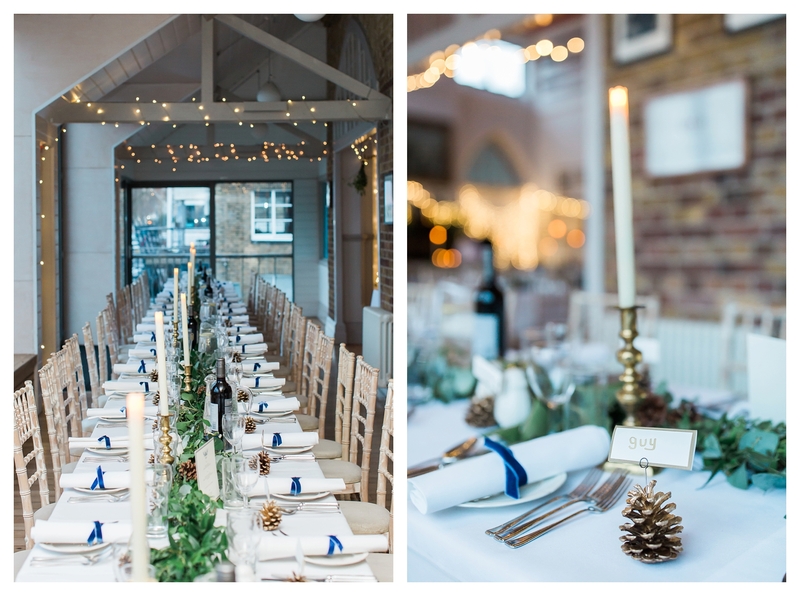 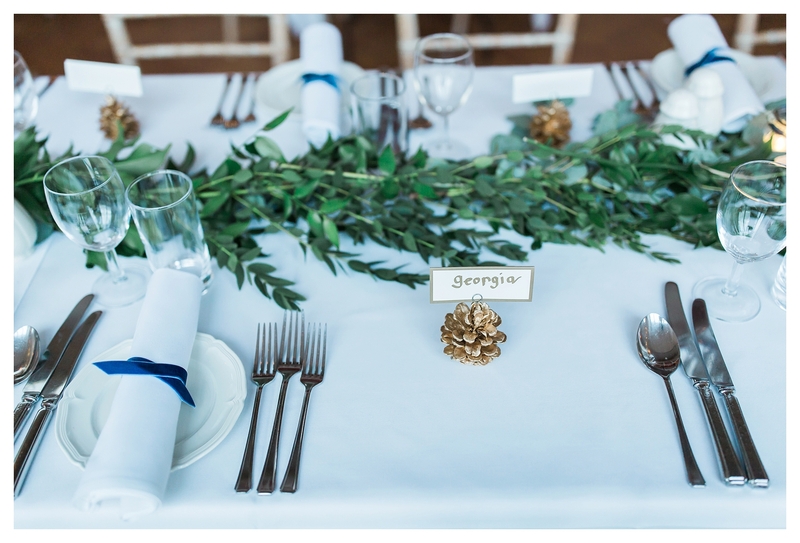 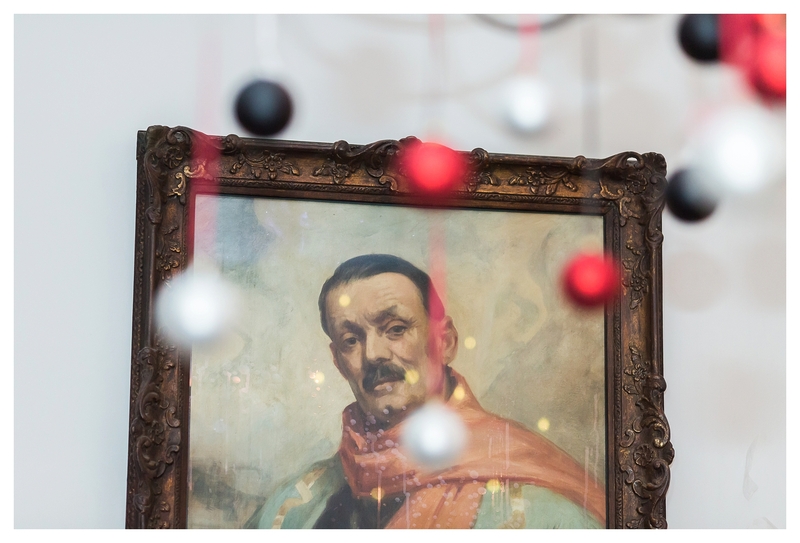 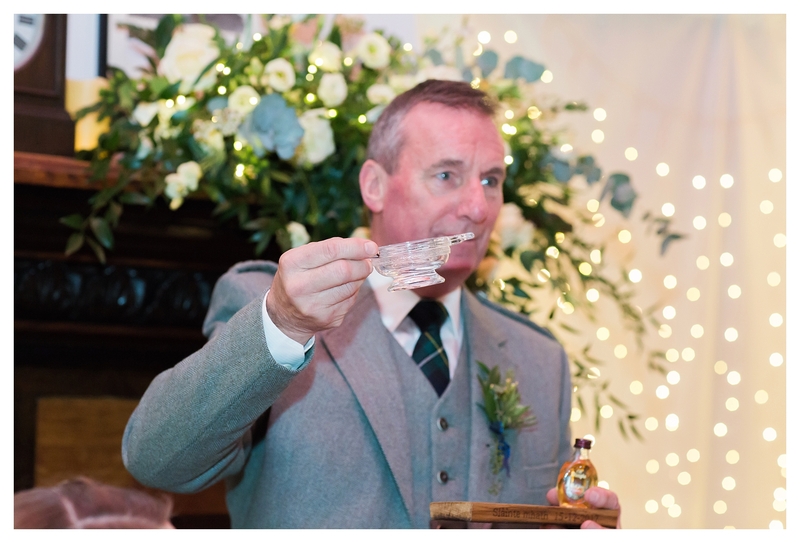 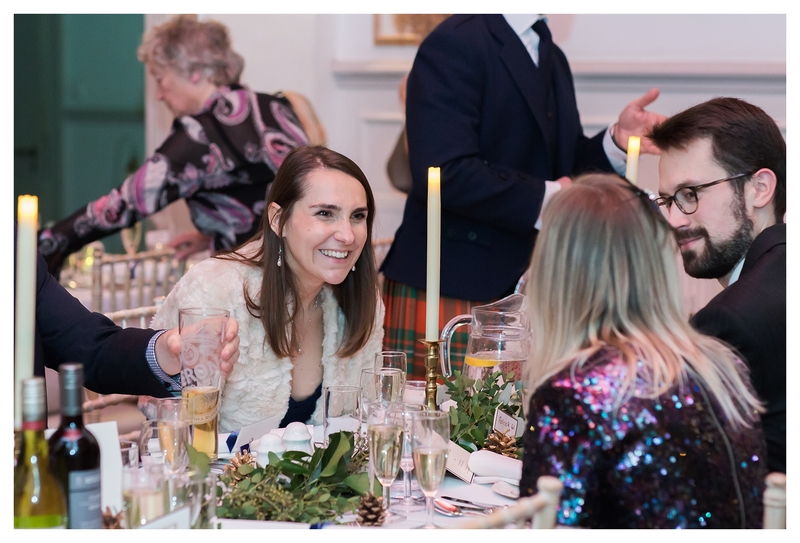 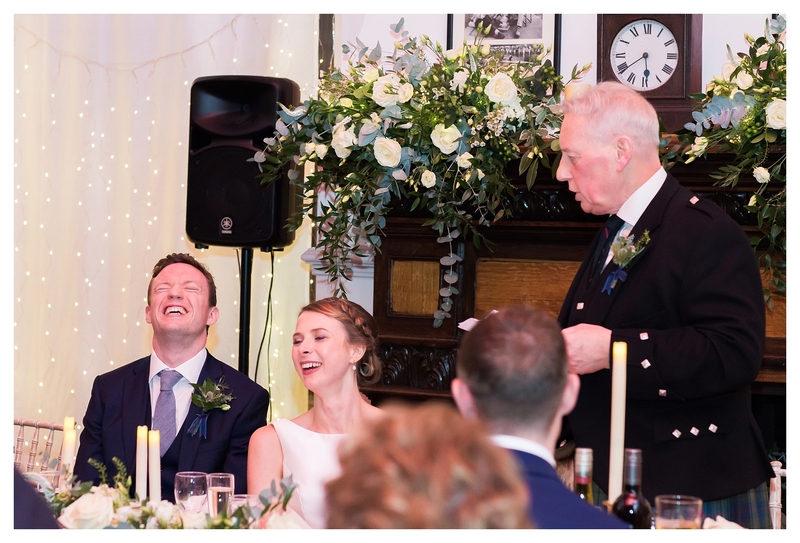 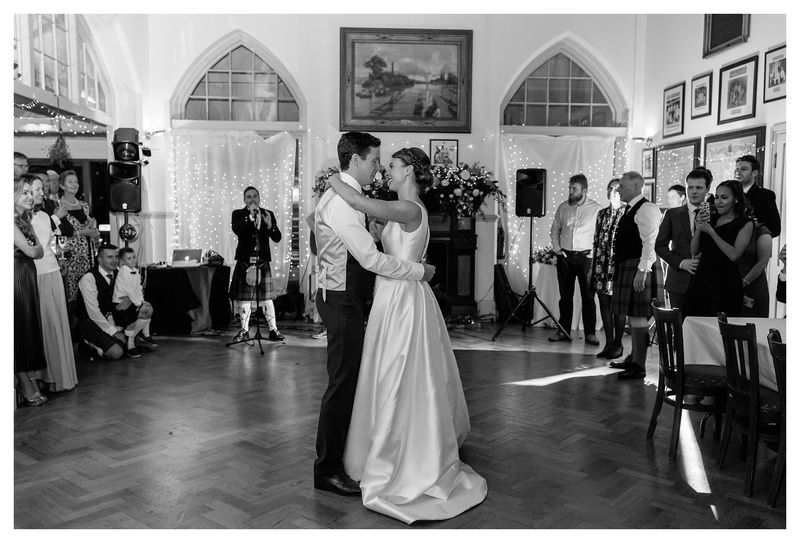 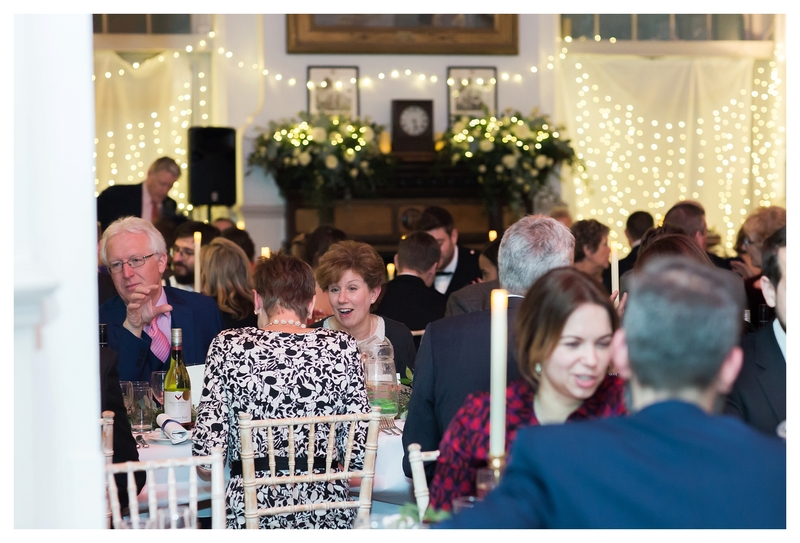 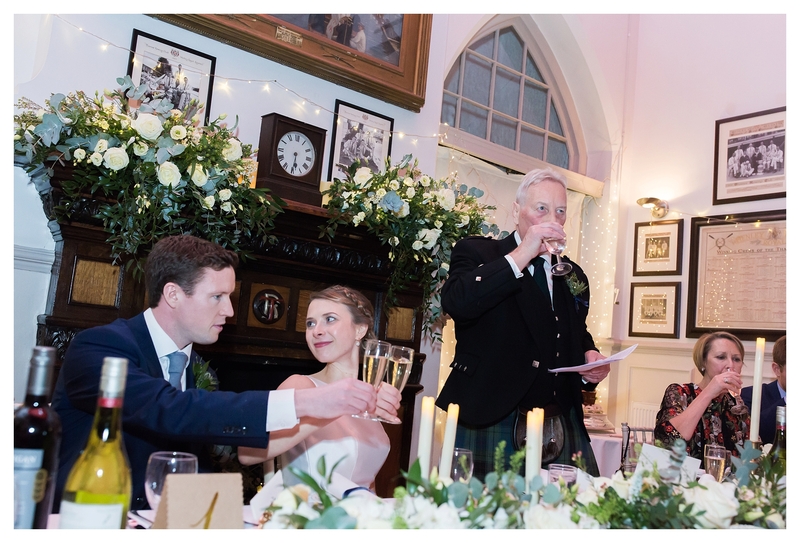 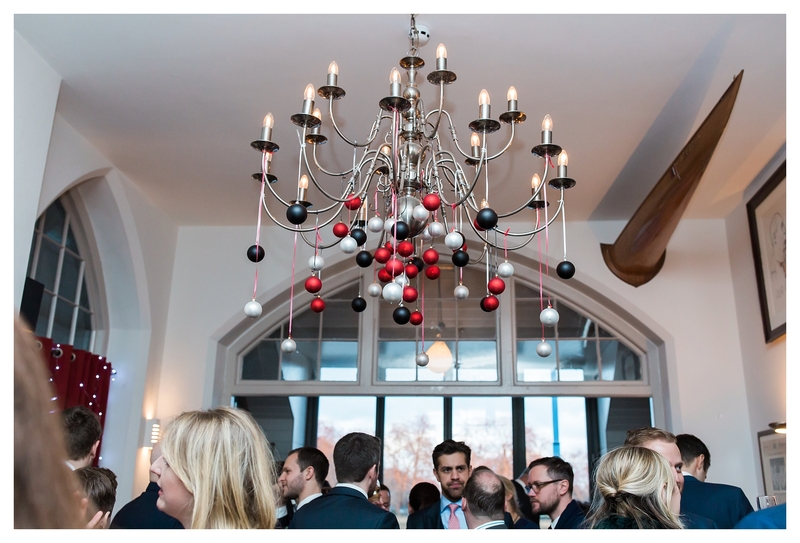 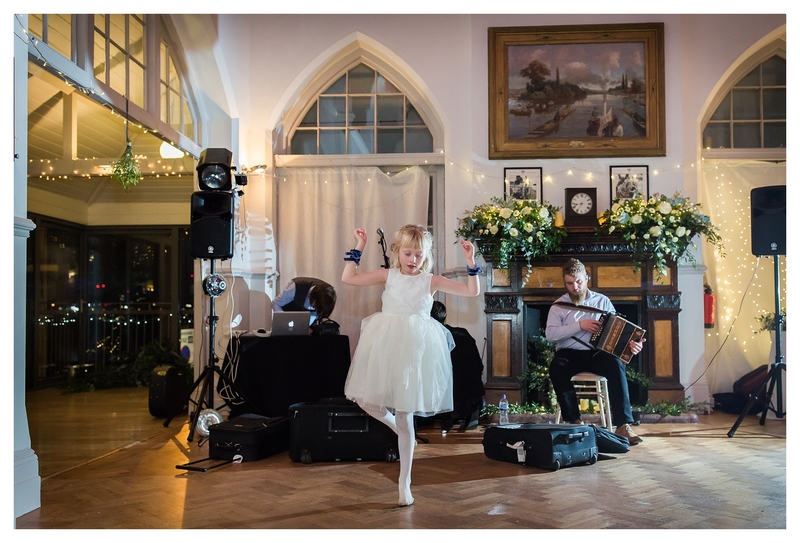 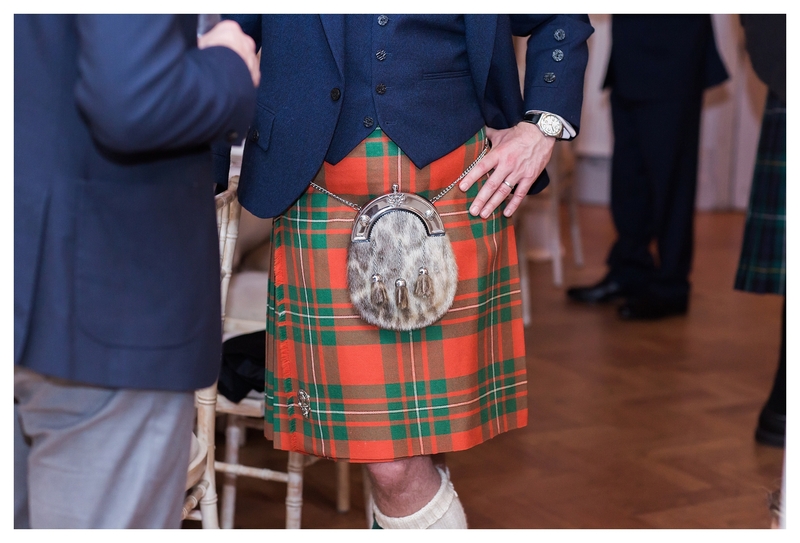 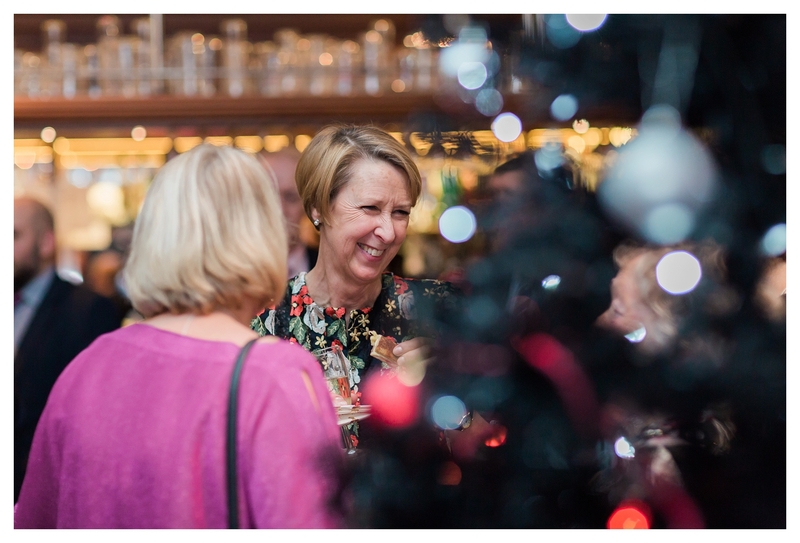 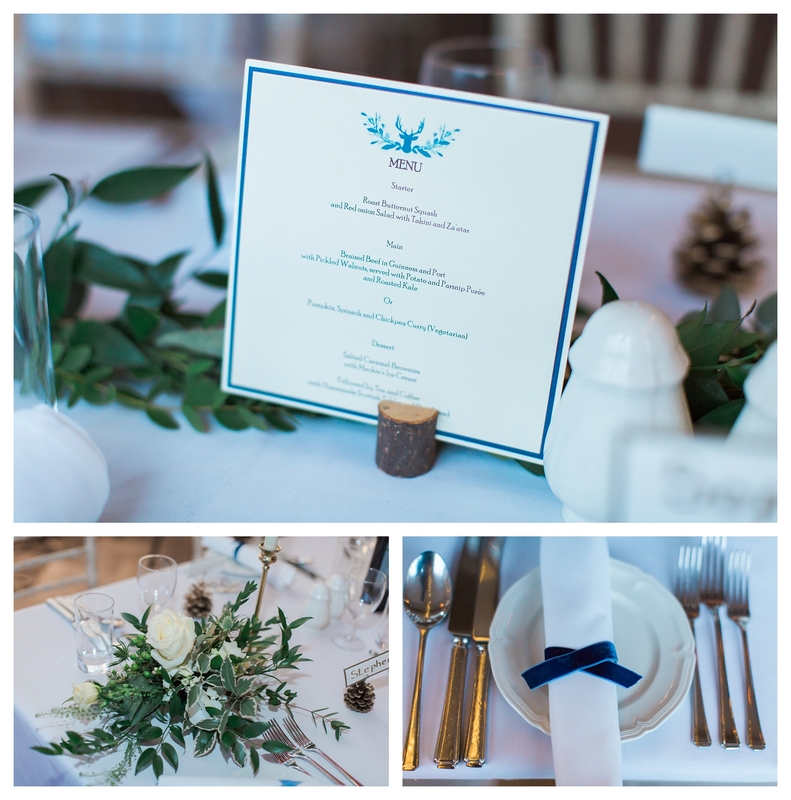 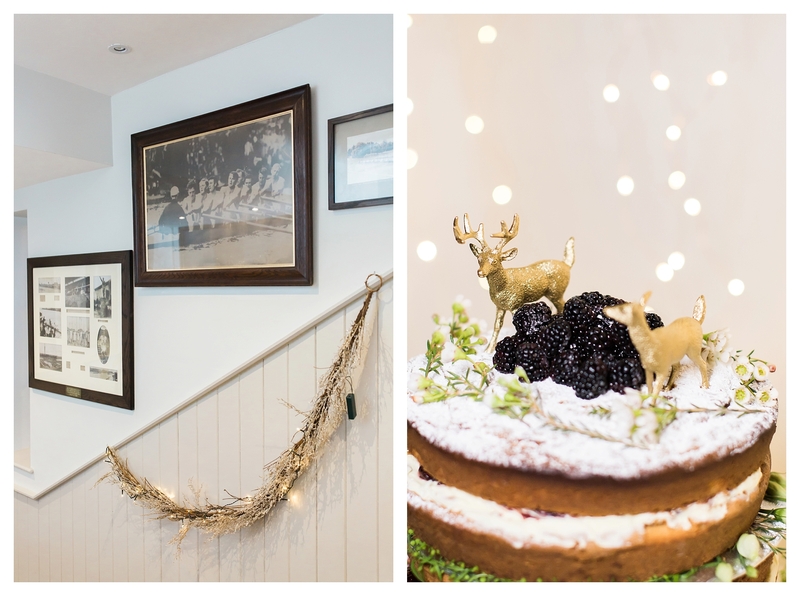 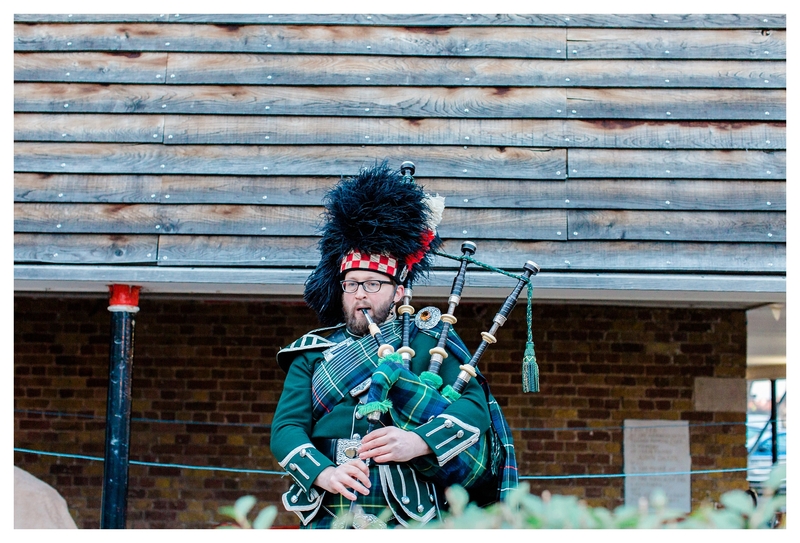 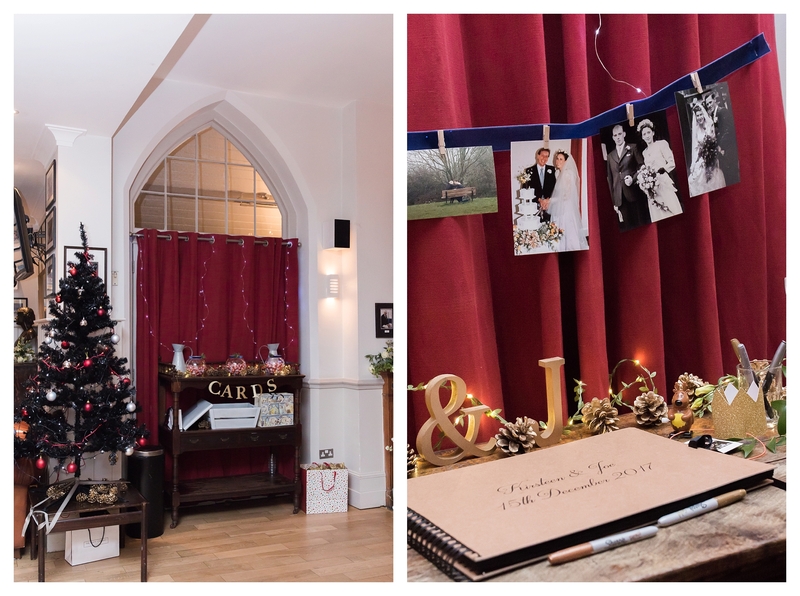 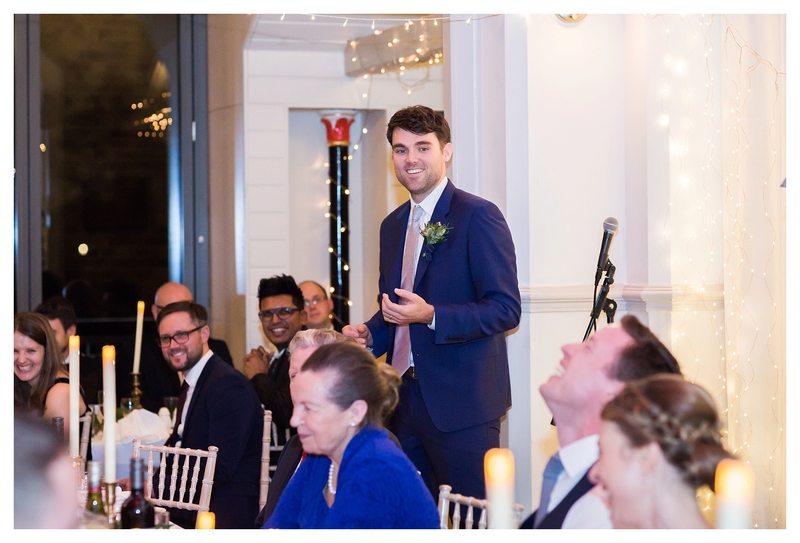 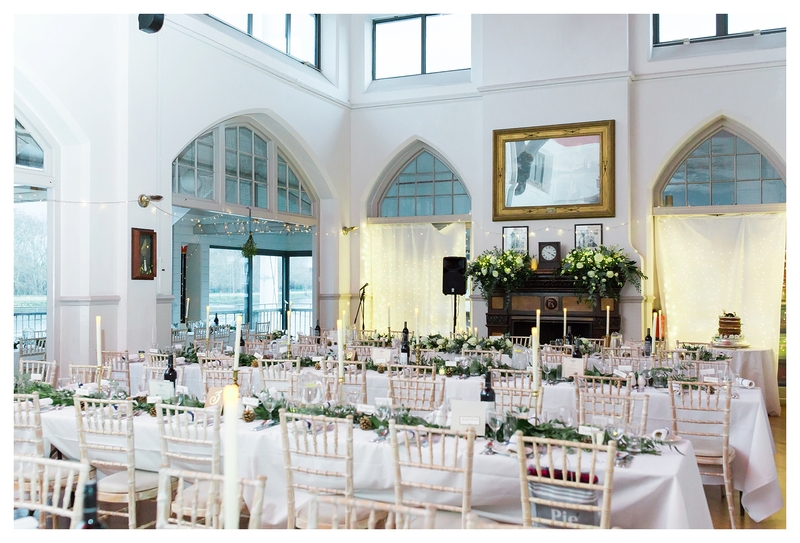 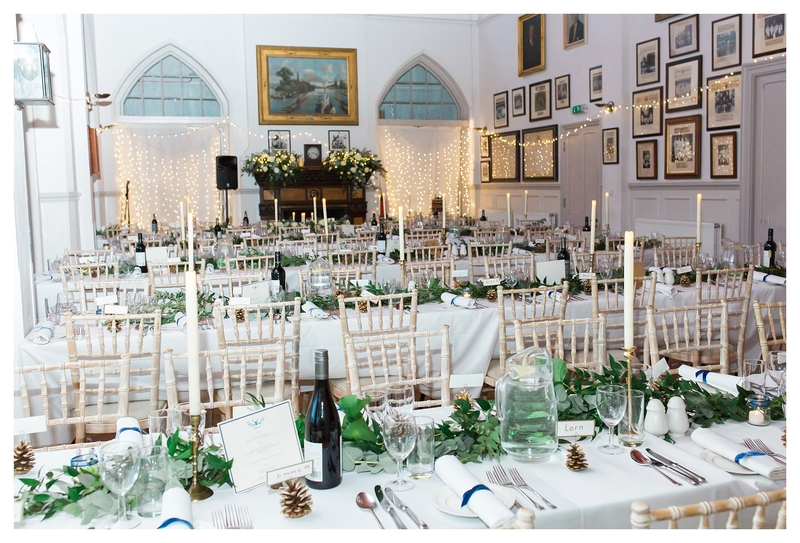 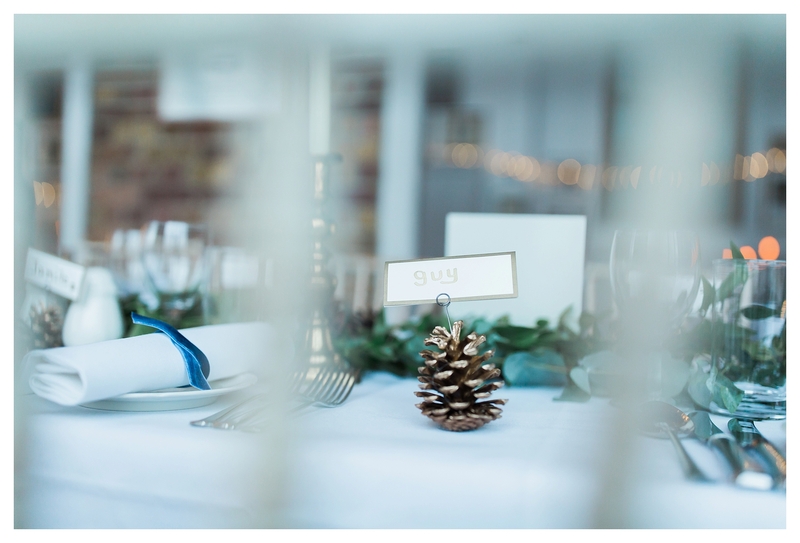 As the December sun went down over the Thames, the guests entered a magical winter wedding reception, filled with twinkling festive touches and a distinctive nod to the bride’s Scottish heritage. 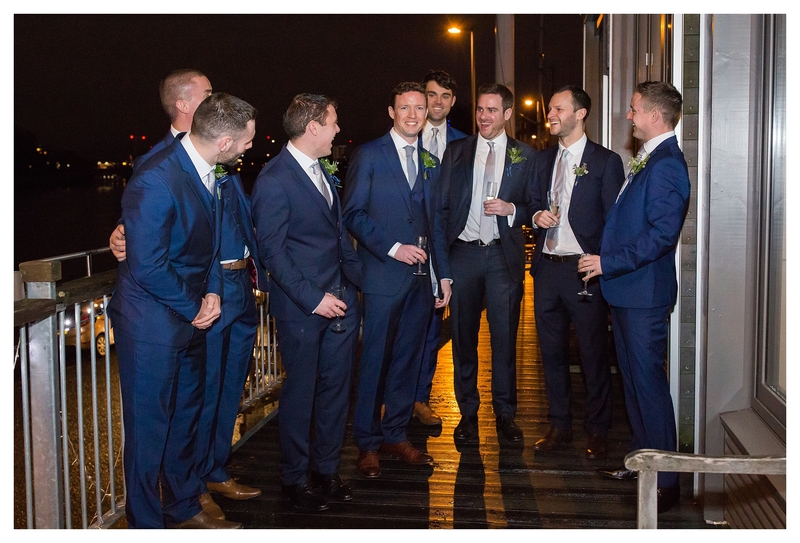 Joe is originally from Ireland, so a large contingent of friends and family from the Emerald Isle were also present. 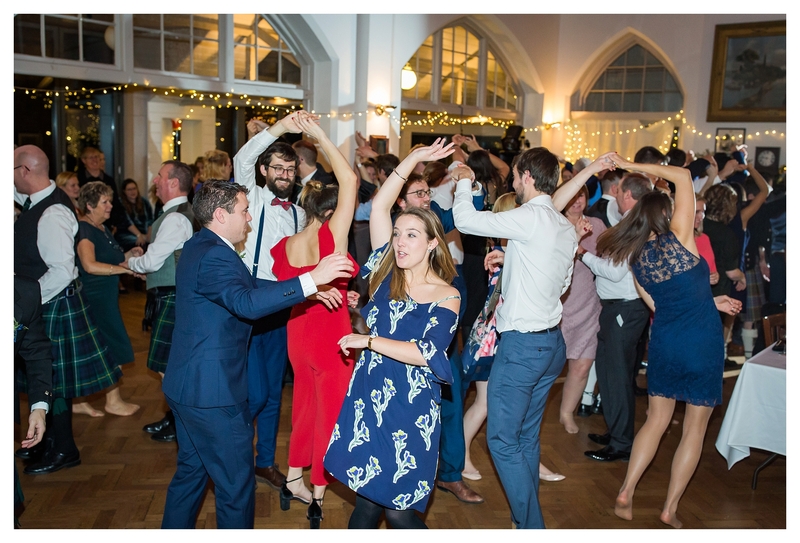 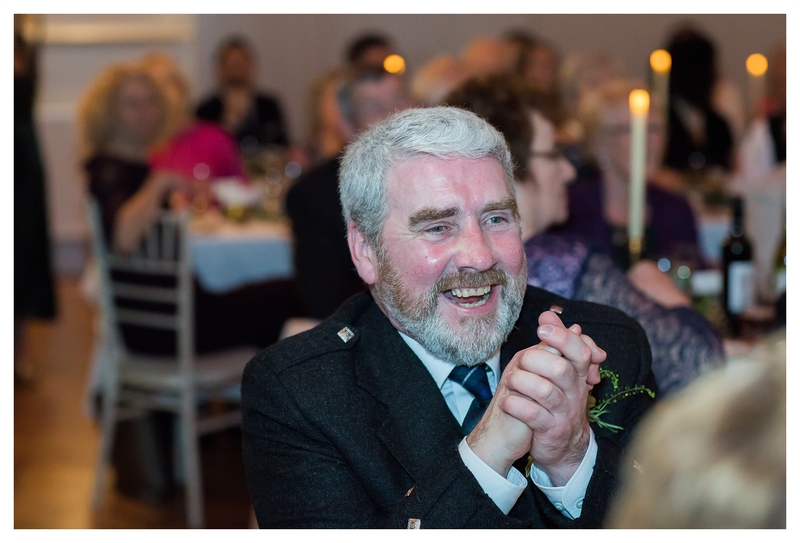 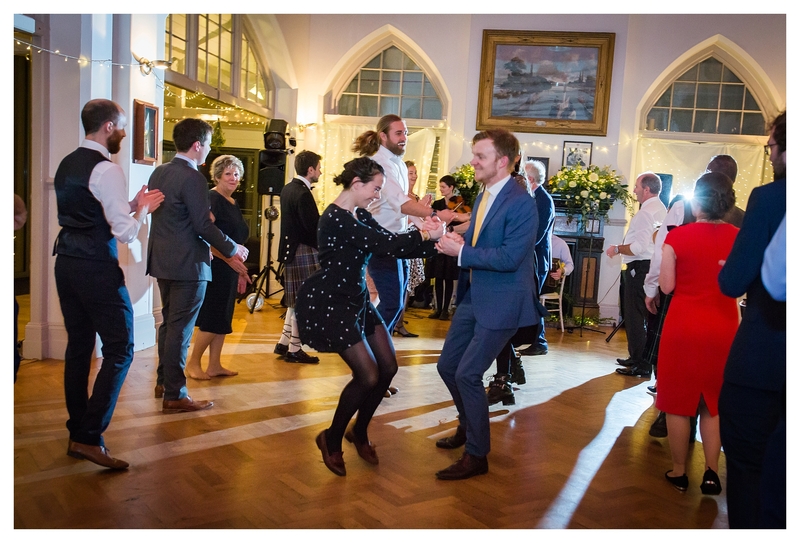 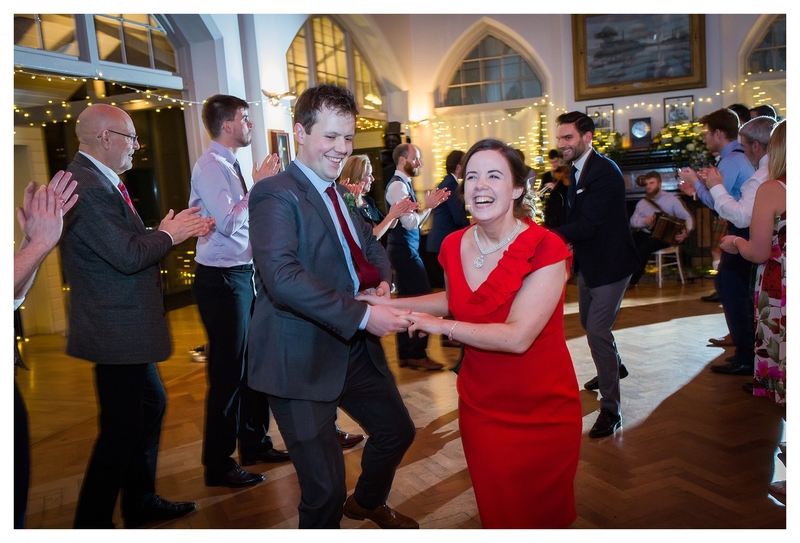 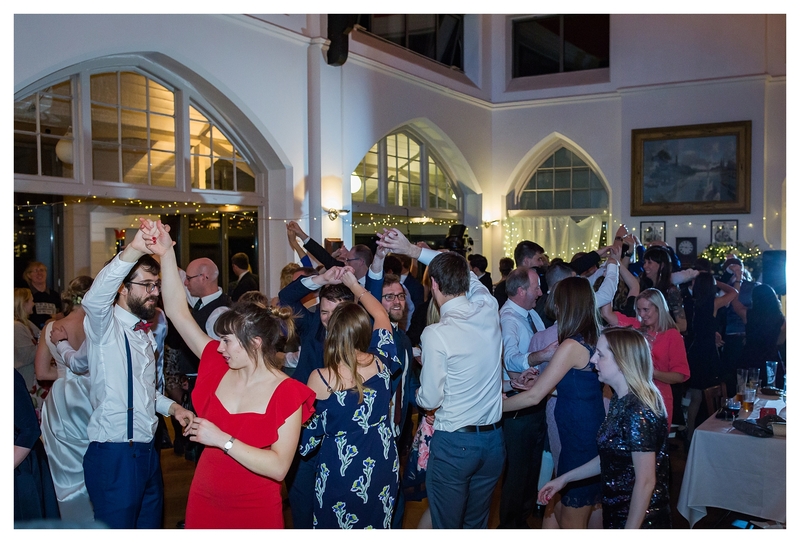 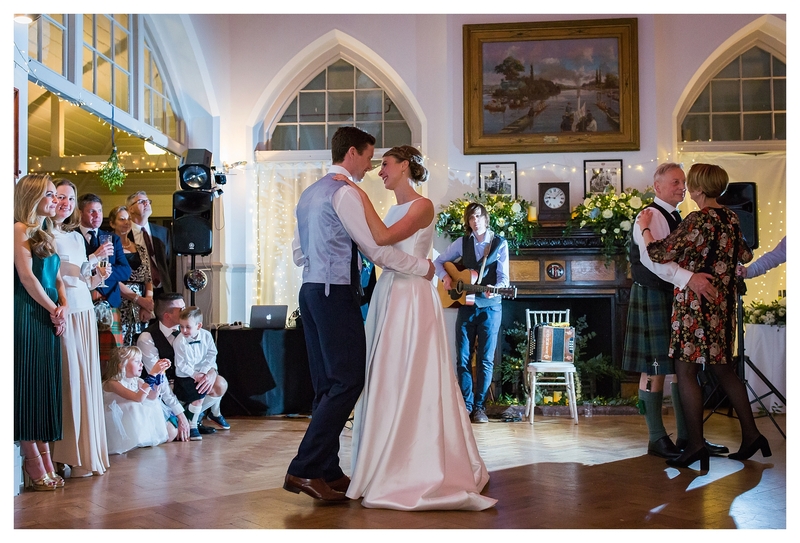 The celebrations finished with a lively ceilidh which was enjoyed by all. 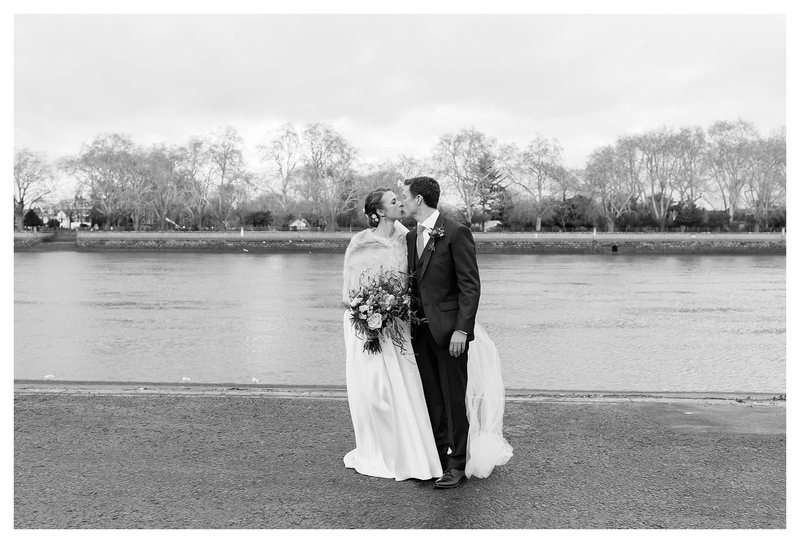 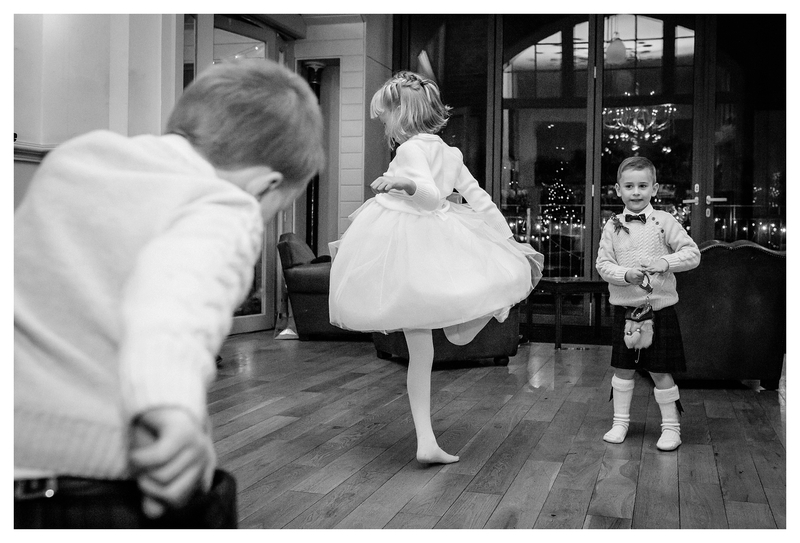 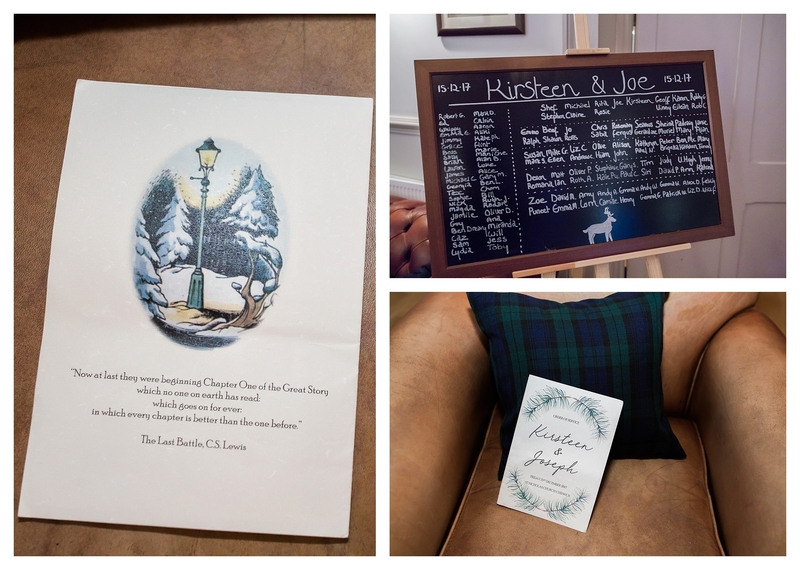 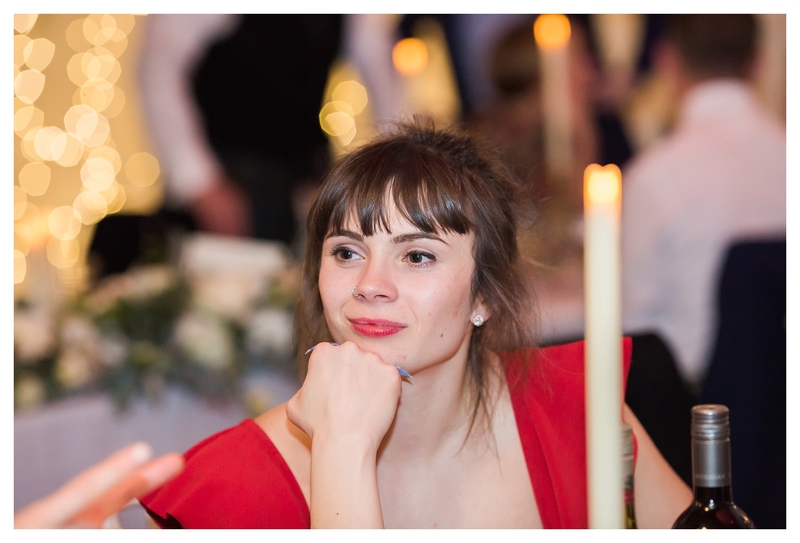 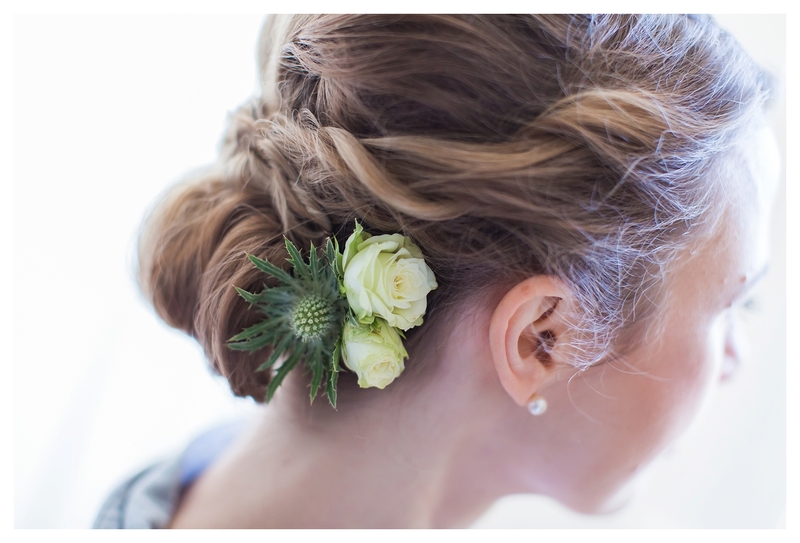 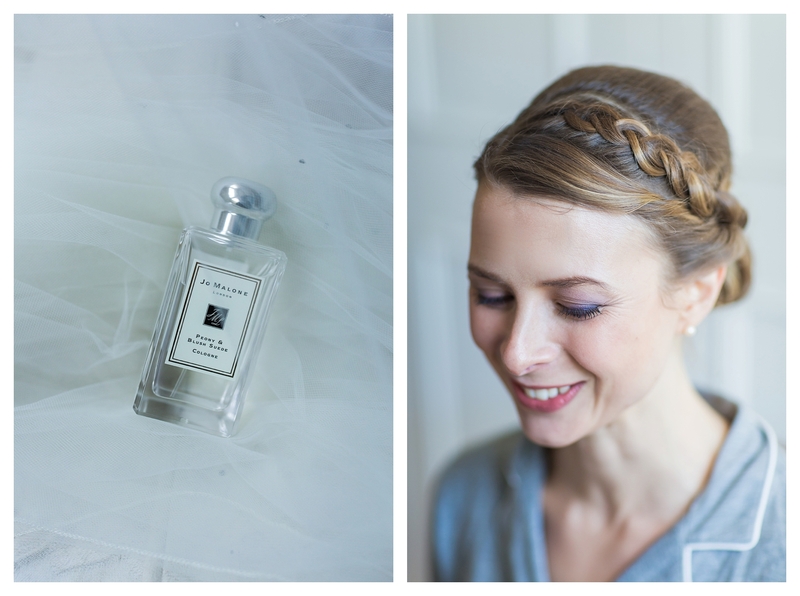 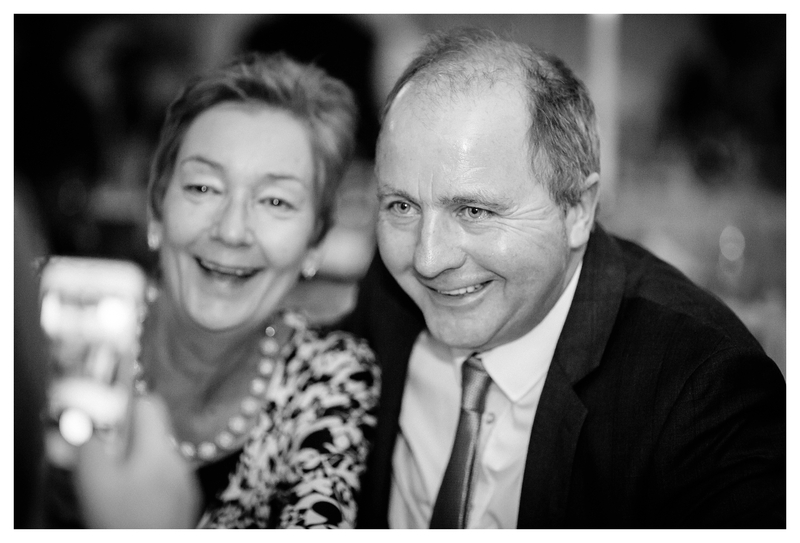 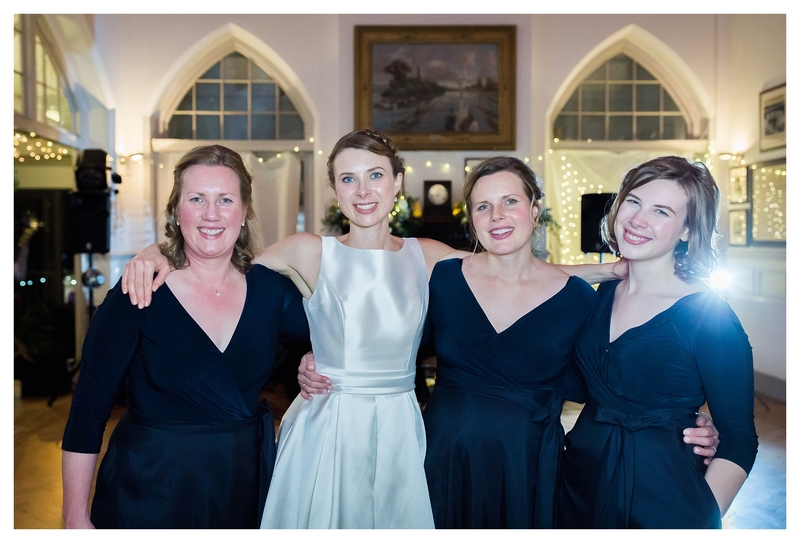 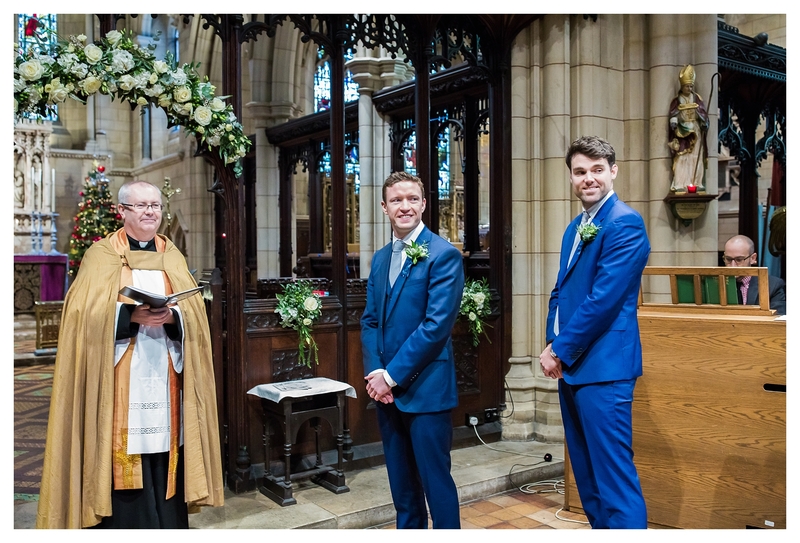 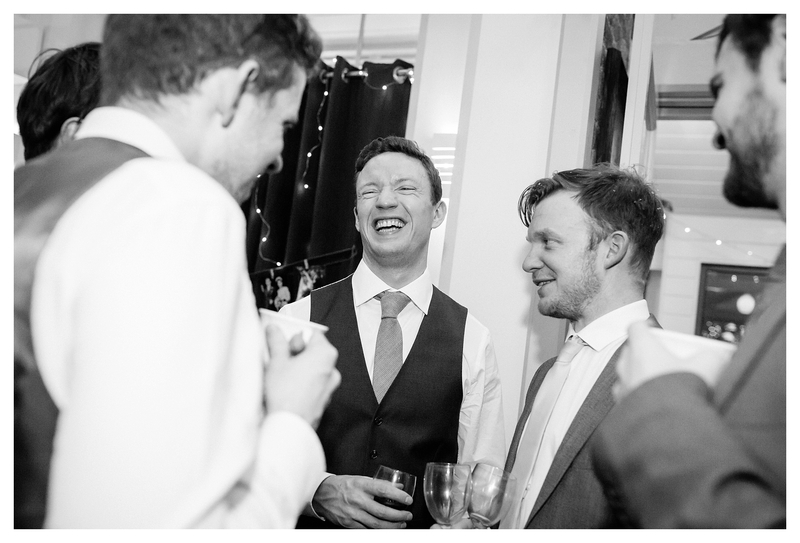 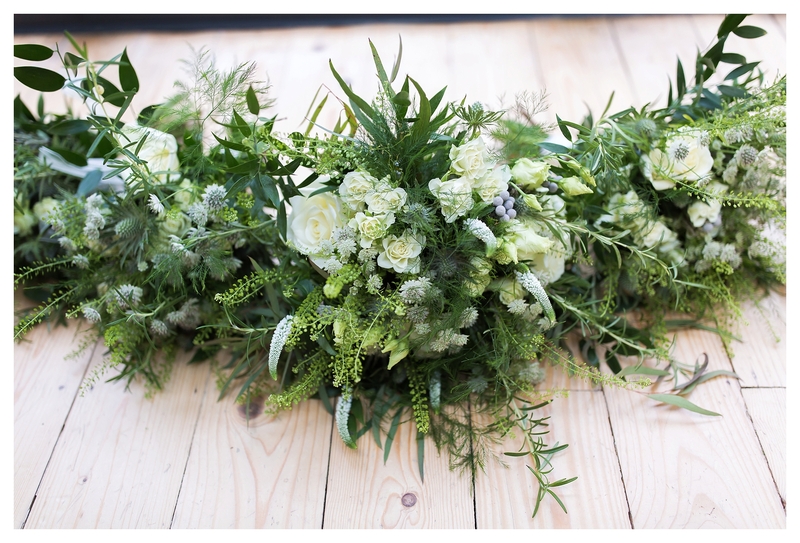 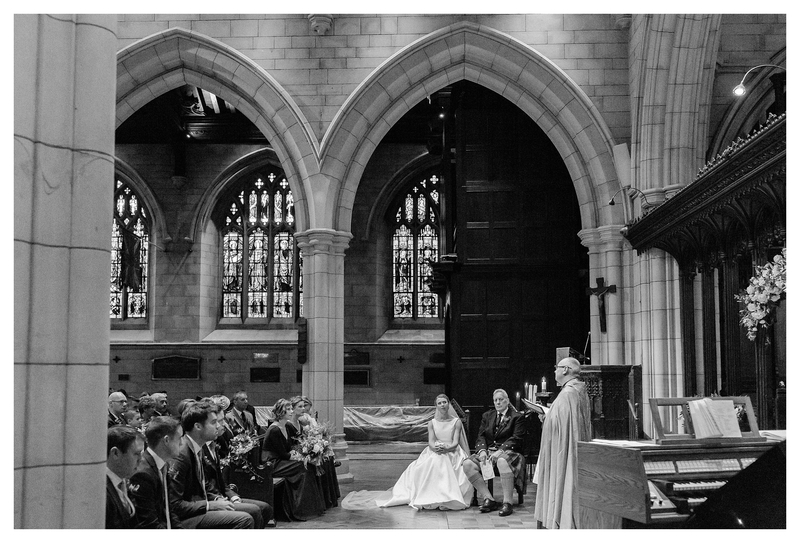 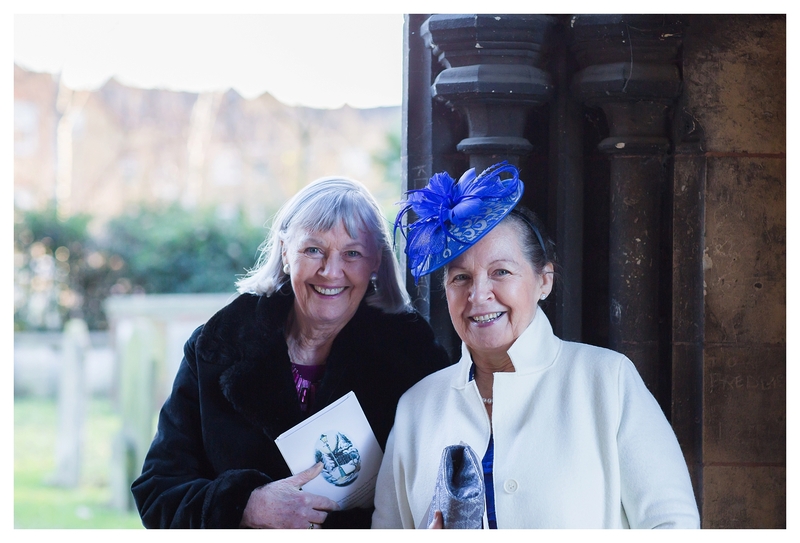 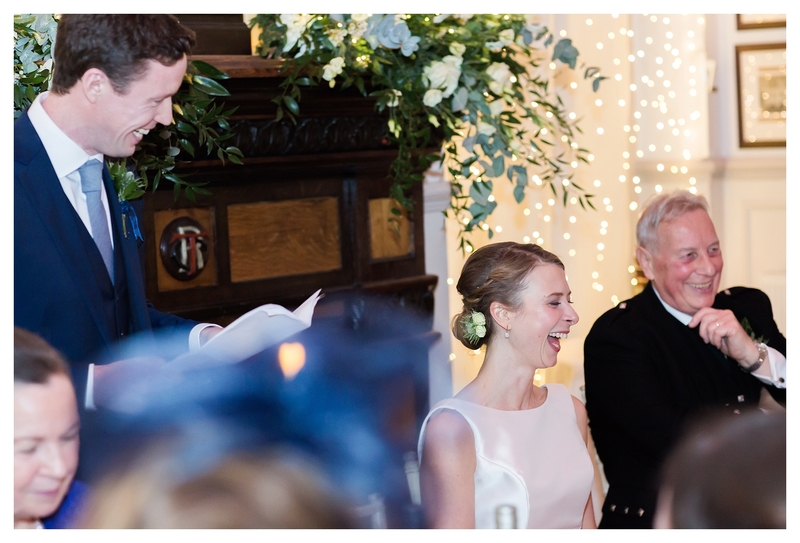 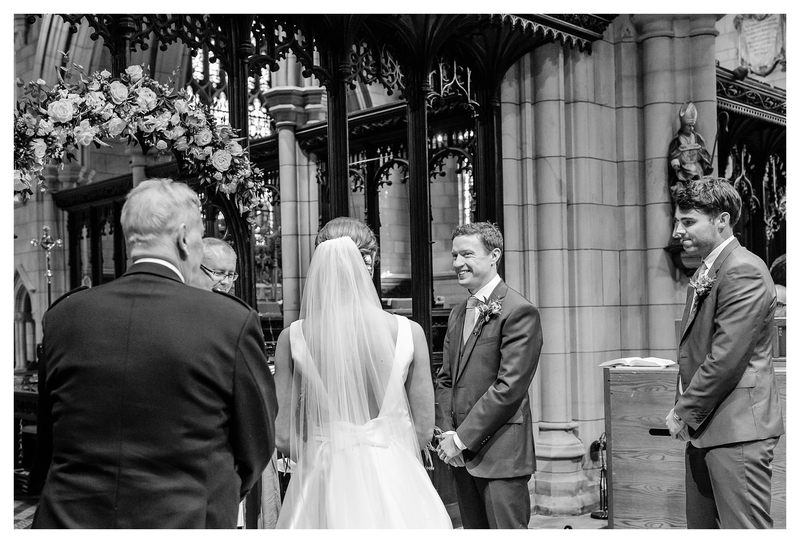 Congratulations Kirsteen and Joe, and thank you for allowing me to be part of your wonderful winter wedding in London! 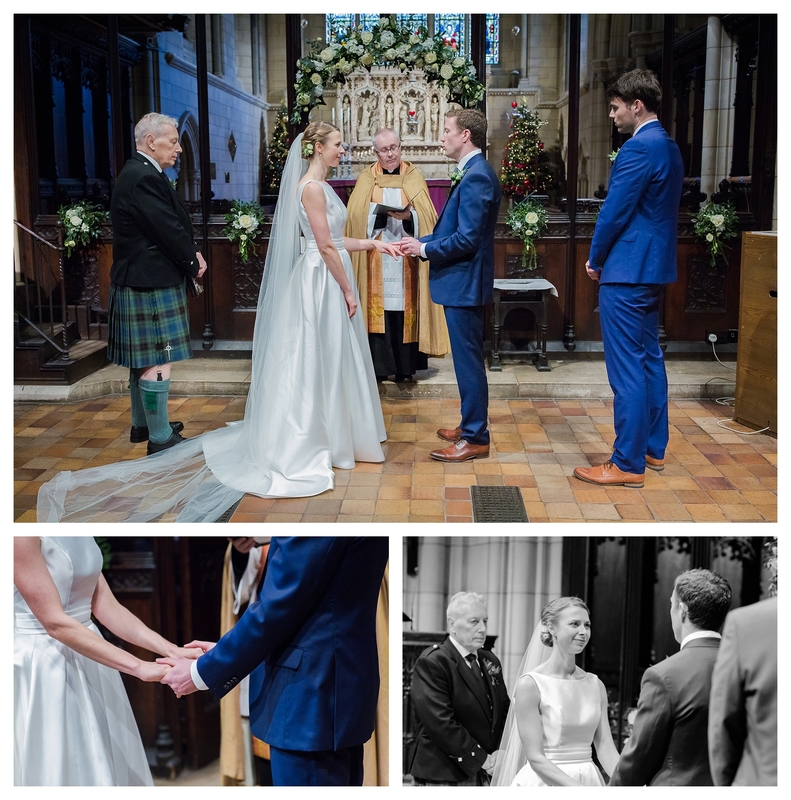 Wishing you both a lifetime of happiness and love together!